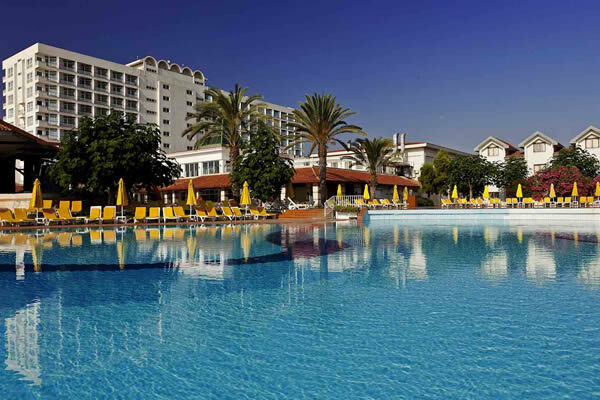 Stay the the deluxe Diana Palace Hotel. 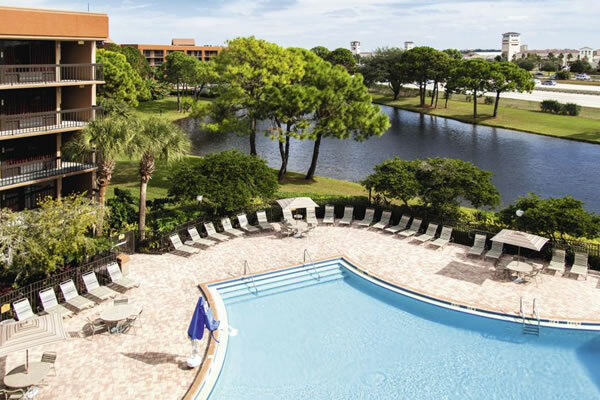 Located right on the beachfront and boasting excellent amenities. Flights Included. This modern hotel offers a luxurious stay on a half board basis where relaxation and a great time is guaranteed. Flights Included. 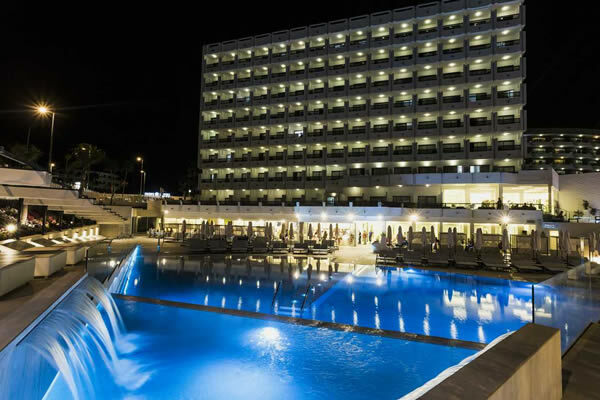 This hotel is located close to the beach in Marmaris and boasting excellent amenities, the perfect choice for a family holiday. Flights Included. 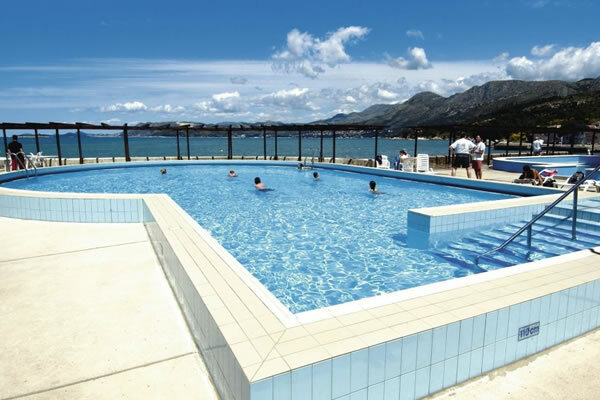 Stay at the deluxe Gouves Park Holiday Resort. 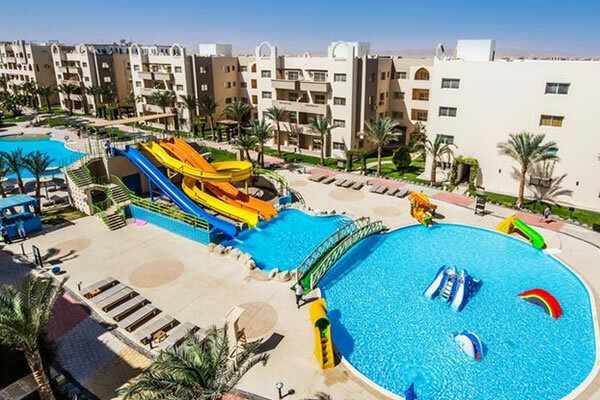 Boasting superb facilities, including 3 swimming pools and a water park. Flights Included. 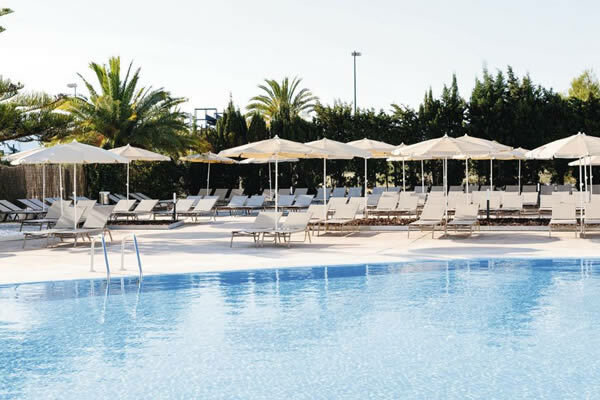 Stay at the luxury Grande Real Santa Eulalia Resort & Spa, guest can enjoy fabulous cuisine and outdoor heated pools. Flights Included. 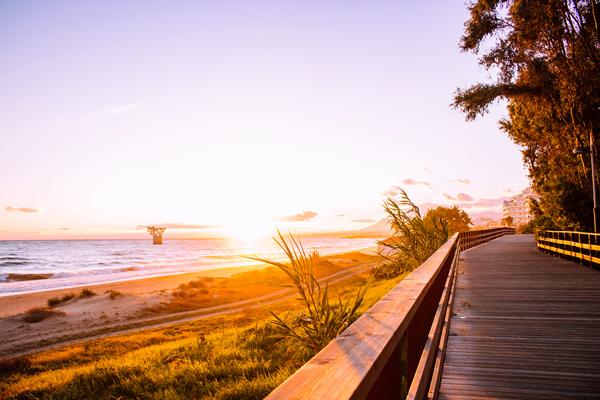 This hotel has all the ingredients for a relaxing holiday, with an in-house spa and a beach within strolling distance. Flights Included. Greek getaways are simple at the Maria Studios, which have got a pool and snack bar. 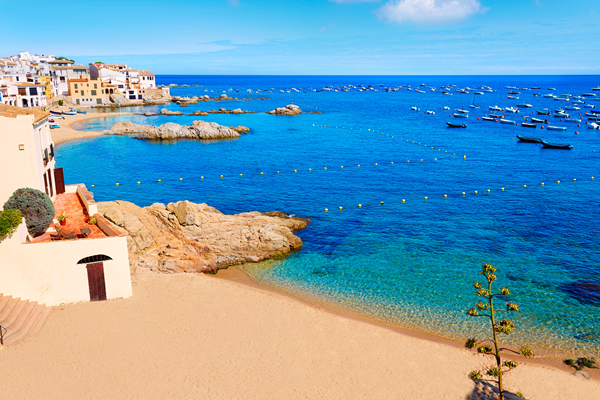 The closest beach is a 15-minute walk away. Flights Included. 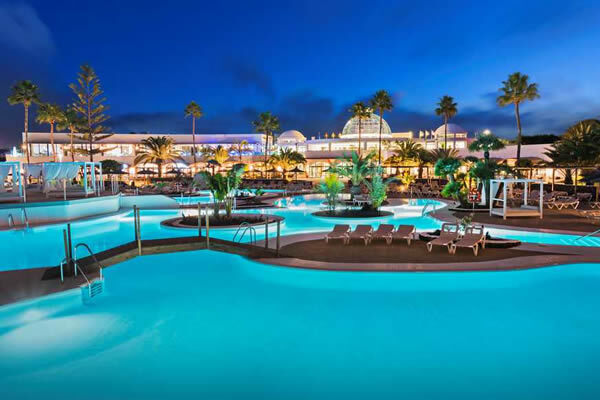 Seven pools, a fun-filled aquapark and a beach on your doorstep - it's easy to make a splash at TUI MAGIC LIFE Waterworld Imperial. Flights Included. 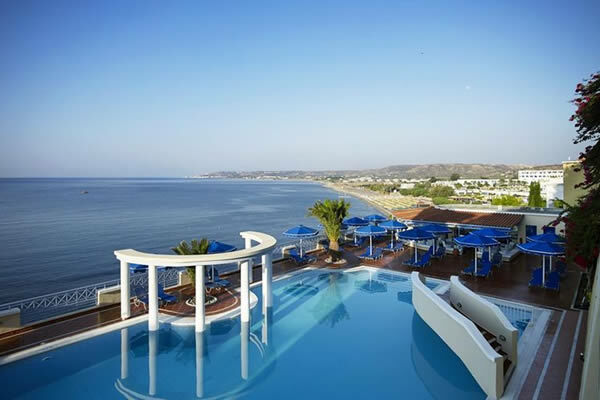 The hotel is set on a beautiful beach with superb sunsets, live entertainment and a choice of bars and restaurants. Flights Included. 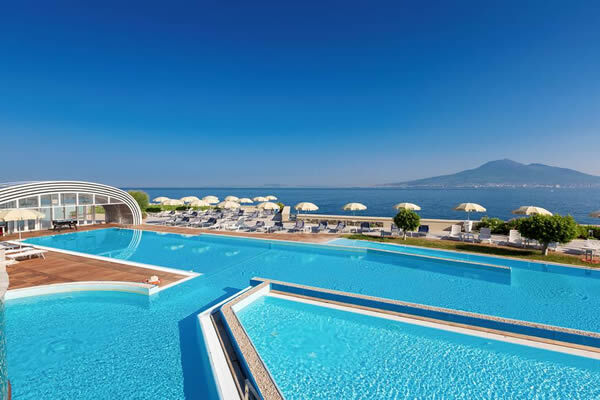 From its panoramic terrace, the Grand Hotel Moon Valley offers spectacular views over the Gulf of Naples. Flights Included. 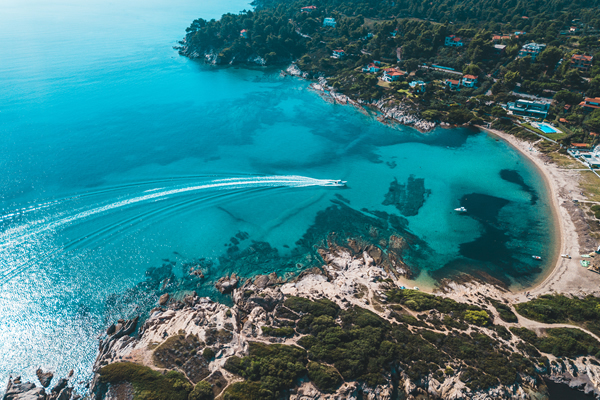 The island of Mljet is a nature and history lovers paradise and the Hotel Odisej offers a great base form which to explore the National Park. Flights Included. 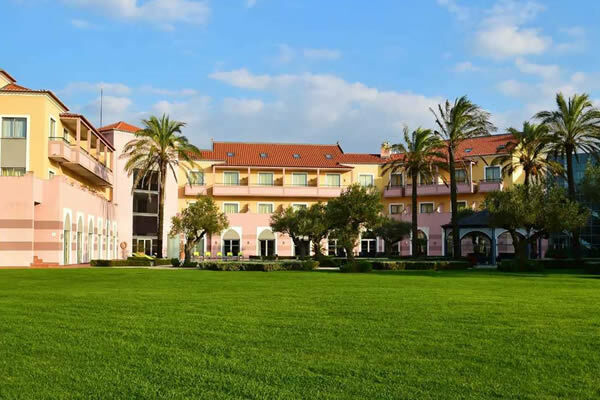 Set within beautifully manicured gardens, close to the Maspalomas golf course, the Suite Hotel Jardin Dorado boasts a relaxing location. Flights Included. 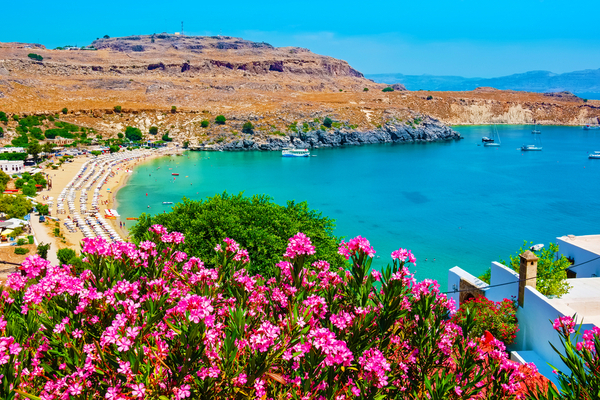 Lindos Gardens Resort is a traditional, whitewashed hotel sitting on the hillside overlooking the resort of Lindos. Flights Included. A comfortable and friendly property, the Argiri Hotel and Apartments sit on the outskirts of the bustling resort of Kardamena. Flights Included. 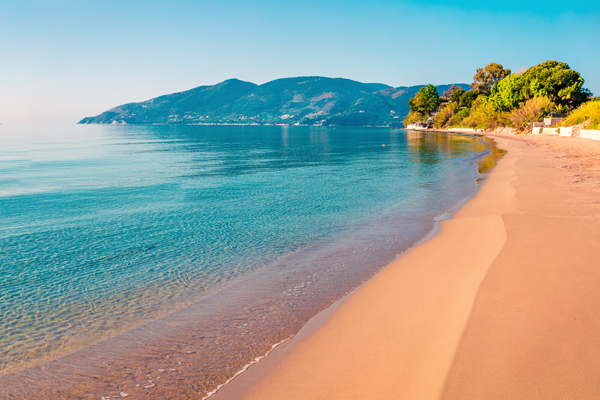 Set in the charming resort of Kalamaki, the family-run Macedonia Hotel enjoys a relaxed atmosphere. Flights Included. The Veramar Apartments was one of the very first apartments, complete with a restaurant, pool bar and rooftop bar, these apartments off a great base to relax. Flights Included. 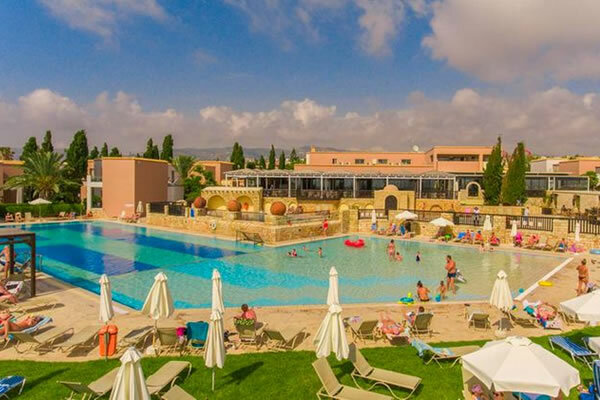 Located on the outskirts of the Old Village of Malia, the Real Palace is a modern and comfortable property that is great if you want to be close to the action. Flights Included. The Hotel Metropole combines traditional charm with some modern touches. 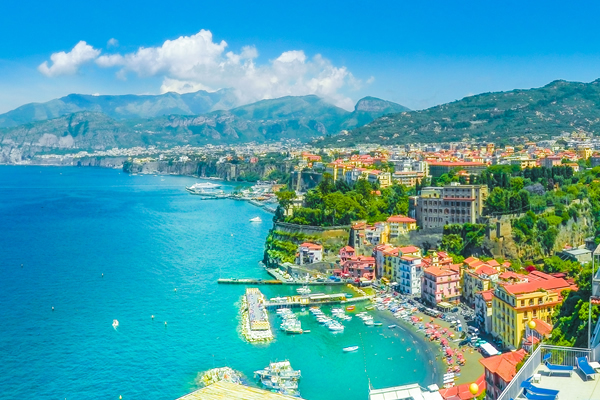 It is set on the outskirts of Sorrento yet still accessible to the centre. Flights Included. 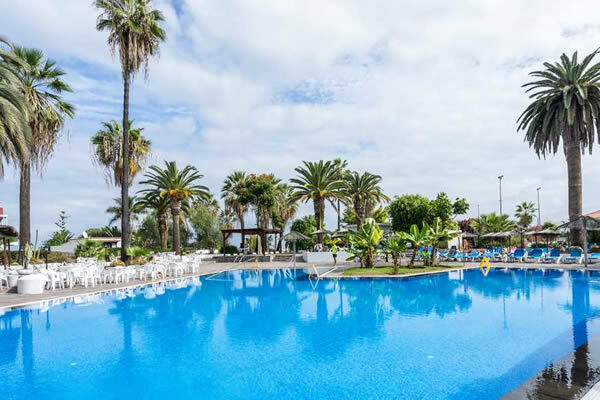 Situated in the quiet resort of Costa de Antigua, Globales Costa Tropical is the ideal hotel for those looking for a good value holiday. Flights Included. 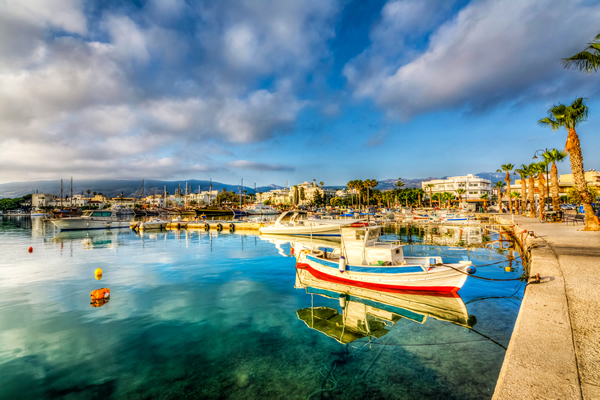 Located in a peaceful area of Pefkohori, the Port Marina hotel is ideal for those seeking relaxing surroundings. Flights Included. 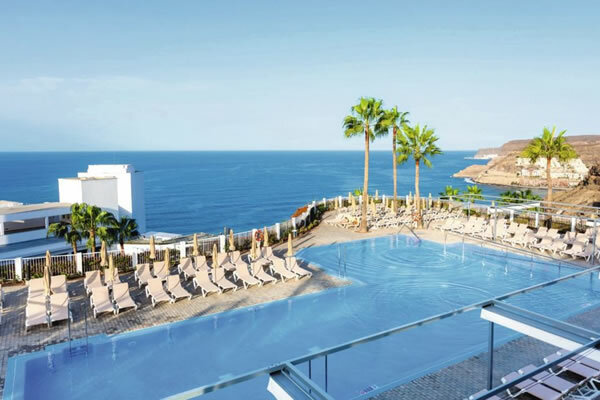 Hotel Jardin Tropical is a stunning white-washed hotel with a subtropical style located on the seafront, which creates a sense of calm and relaxation. Flights Included. 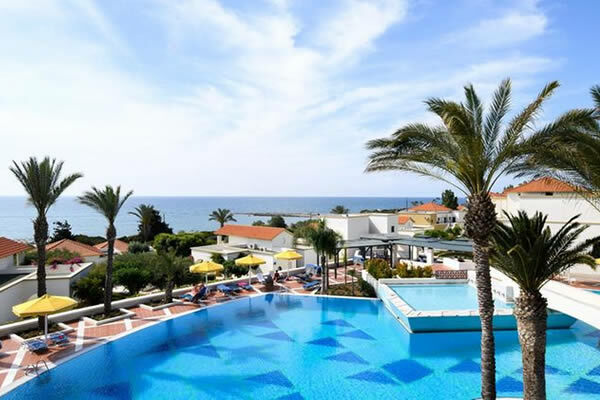 Offering family friendly accommodation close to the sea, the comfortable Alexandros Hotel is a great base for guests seeking a relaxed holiday. Flights Included. Hotel Garden is set on the outskirts of the village of Pastida, about a 10-minute walk away from the closest tavernas and shops. Flights Included. 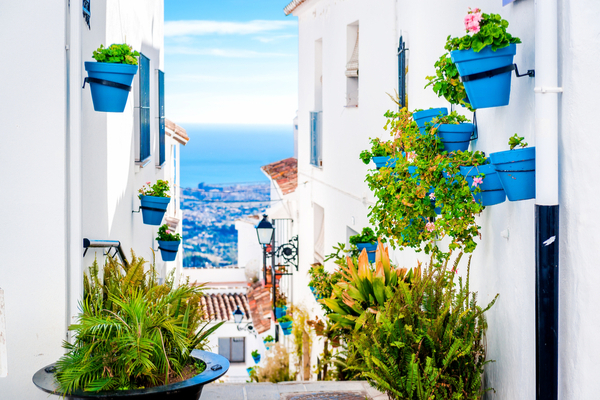 The Marbella Playa has the looks and charm of a traditional Spanish village. Colourful cottages line winding roads. Flights Included. Located in the popular resort of Malgrat de Mar, the Tropic Park hotel boasts great facilities on-site and is a great choice for couples and families. Flights Included. 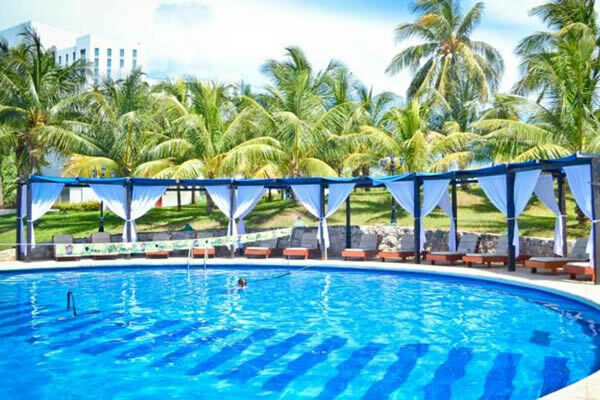 Stay at the Invisia Ereso, located just a short distance from the beach and boasting excellent amenities. Flights Included. 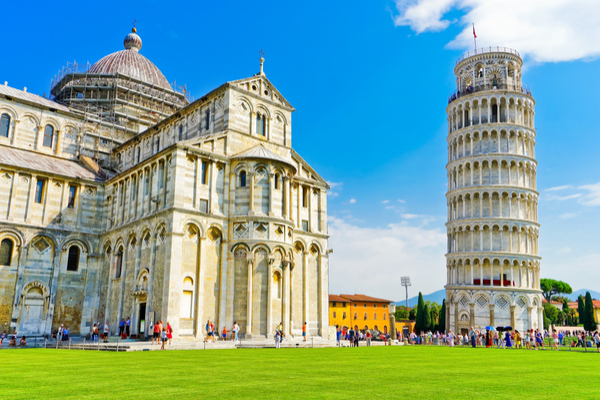 Includes 22kg baggage allowance and 10kg hand luggage allowance. 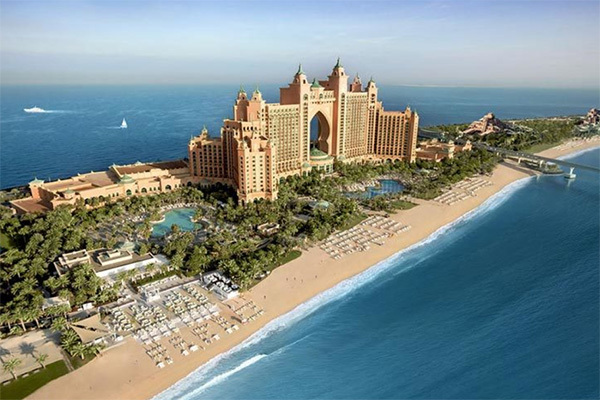 A fantastic vision of soaring arches rising dramatically out of the Arabian Gulf, Atlantis The Palm is iconic destination in Dubai. Flights Included. Let go of your inhibitions and say hello to good times and new experiences on this triple trouble holiday. 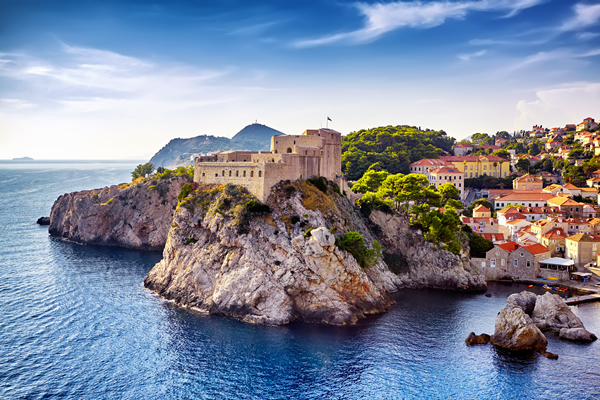 Enjoy a 13 night stay with a Caribbean cruise. Flights Included. 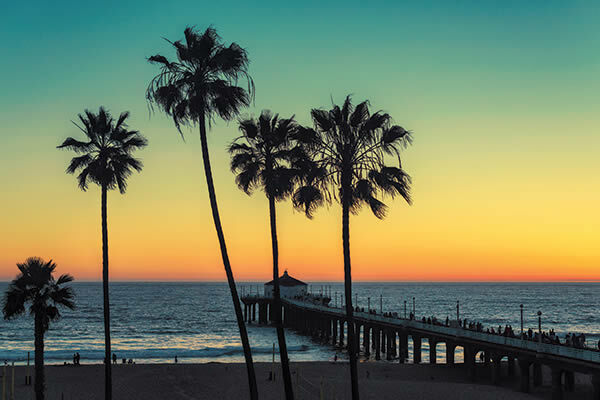 This getaway with leave you thirsty for more. 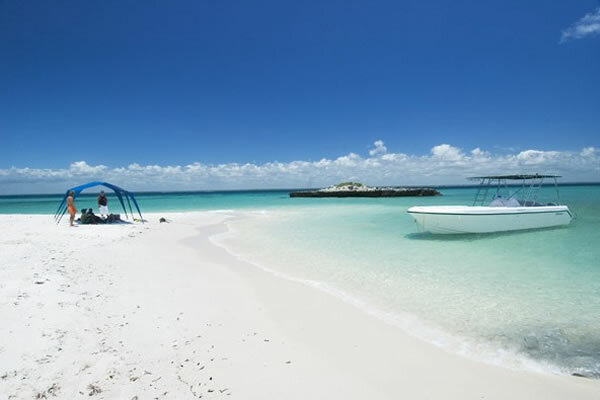 Enjoy a 12 night stay and western Caribbean cruise. Flights Included. 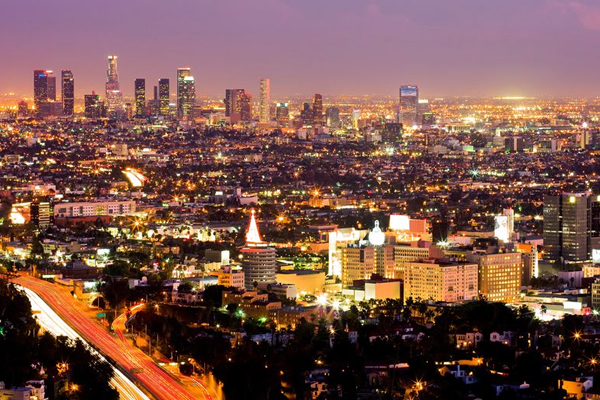 The City of Angels always hovers between dream and reality. 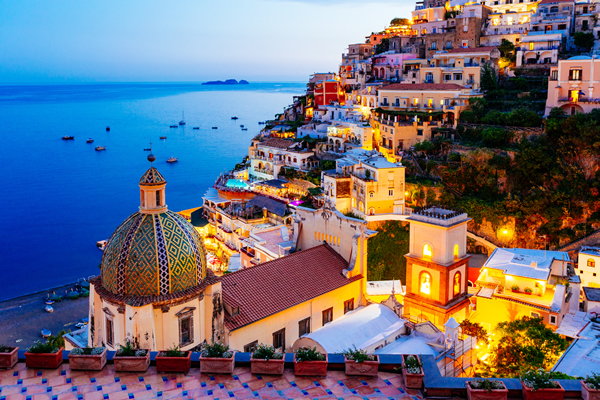 Enjoy a 10 night getaway and Mexican riviera cruise. Flights Included. 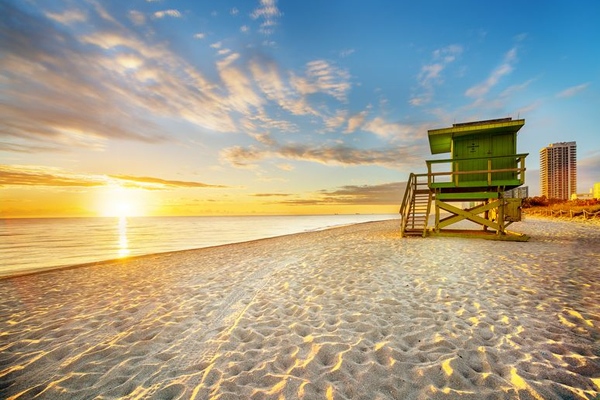 Miami is a mesmerising destination in which to start your getaway. 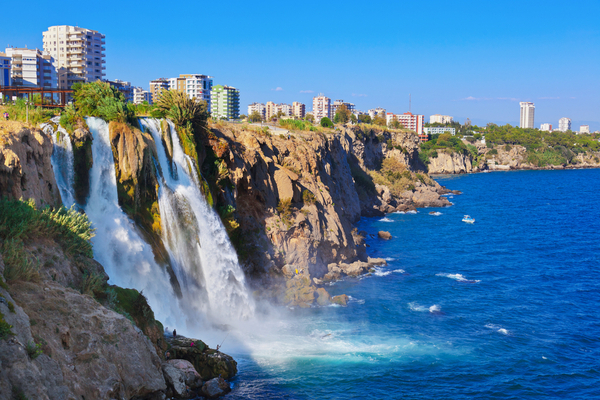 Enjoy a 10 night stay and Caribbean cruise. Flights Included. 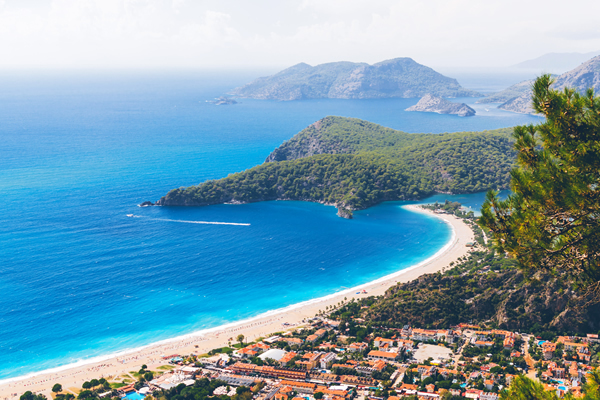 If sun, sea and sand is your idea of a holiday, this is the perfect getaway for you. 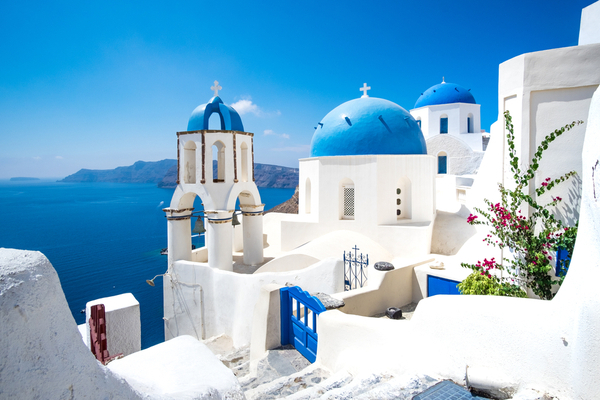 Enjoy an all-inclusive with and Caribbean cruise.Flights Included. 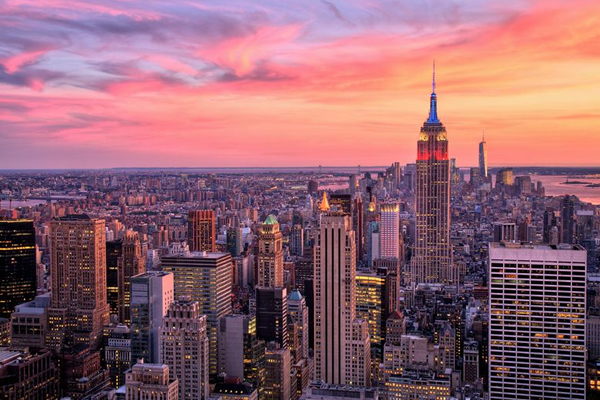 These are three unbelievable cities you just have to visit in your lifetime. 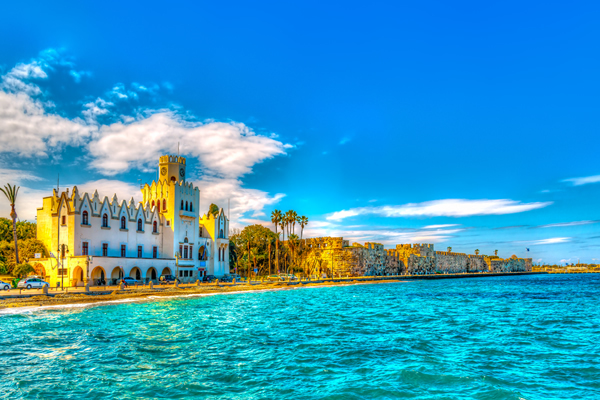 Enjoy a 14 night getaway with a Mexican riviera cruise. Flights Included. 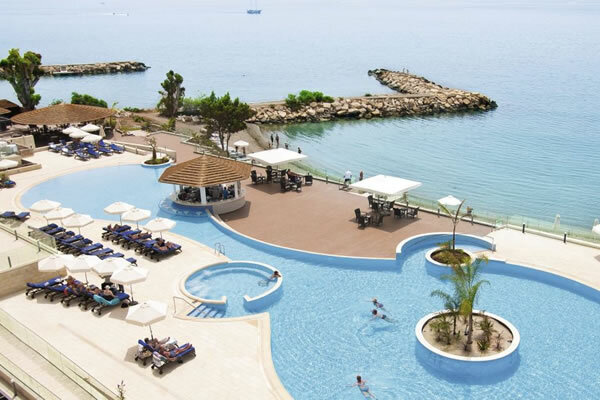 Stay at the Deluxe Labranda Marine Aquapark Resort. 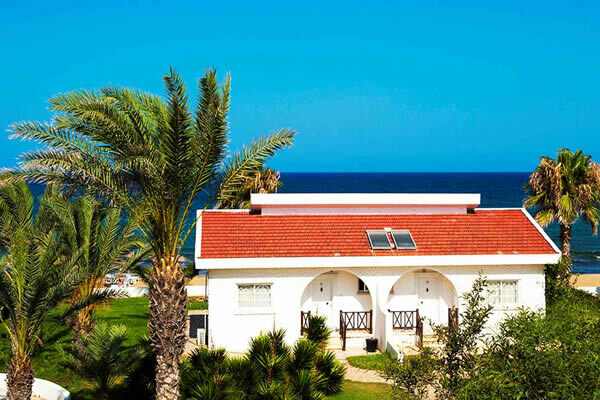 Located right on the beachfront of Tigaki plus kids stay free. Flights Included. 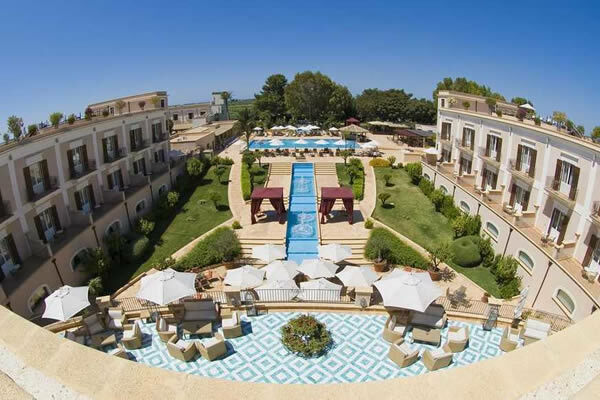 Stay at the luxury Le Bleu Hotel & Resort. 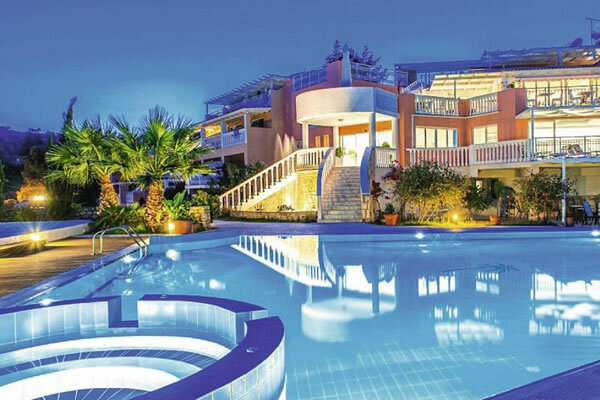 Located on the Aegean coast and boasting superb facilities including a private beach. Flights Included. 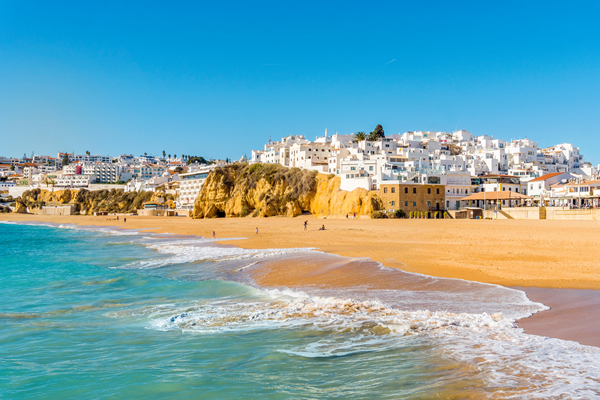 Ideally located on the beachfront and close to the center of Albufeira, the Auramar Beach Resort boasts indoor and outdoor pools, a kids club. Flights Included. 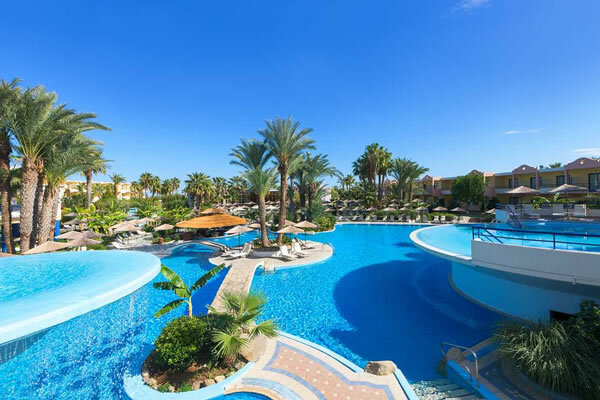 Stay at the Iberostar Kantaoui Bay, located in the popular resort of Port El Kantaoui, where the hotel boasts an on-site spa centre. Flights Included. Stay at the BG Caballero, located in the popular resort of Ca'n Pastilla, where the hotel boasts an on-site spa center and much more. Flights Included. 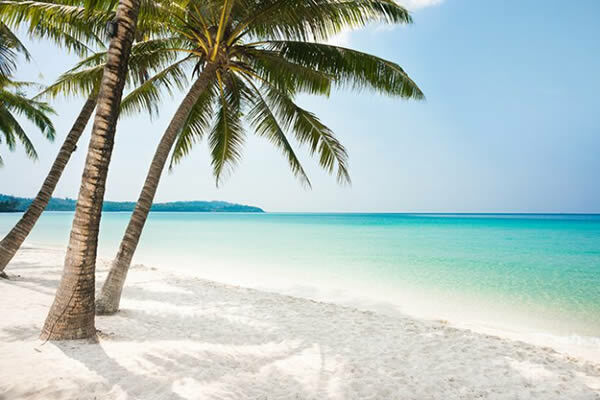 With Phuket's miles of sands, the clear waters that surround Koh Samui, the idyllic waterfalls and rainforests to explore, you'll be spoilt on this holiday. Flights included. 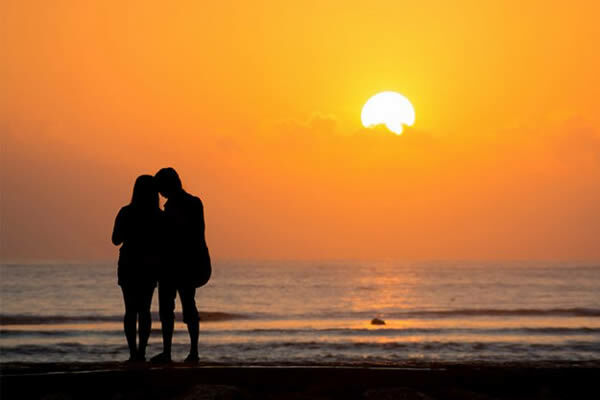 The ultimate romantic Bali holiday, seven nights on the sun kissed golden beaches of Bali with time to relax and enjoy each others company. Flights included. 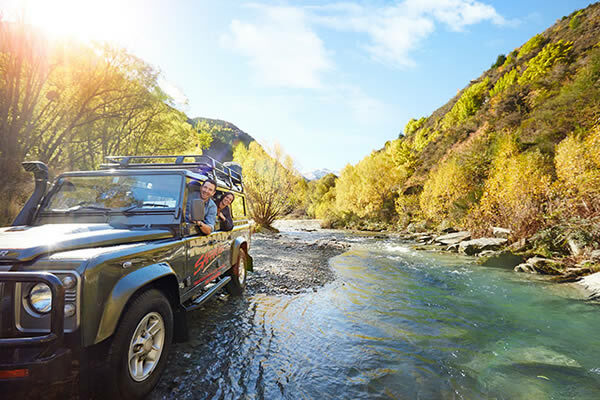 Experience the very best of New Zealand's fresh food and wine produce on this luxury self drive tour. Includes vehicle insurance. 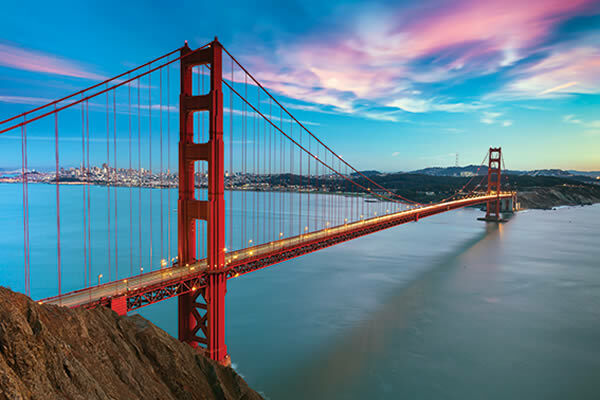 This tour has it all - epic cities, beautiful beaches and the opportunity to hike in two of America's beloved national parks. Flights included. 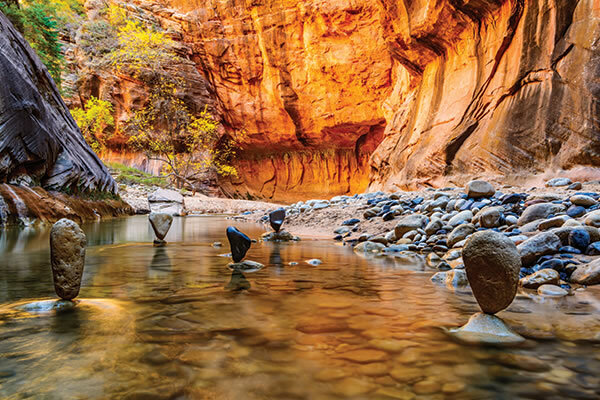 Explore the desert National Parks with a visit to the Grand Canyon, the towering monoliths of Zion and the beautiful colours of Bryce Canyon. Flights included. 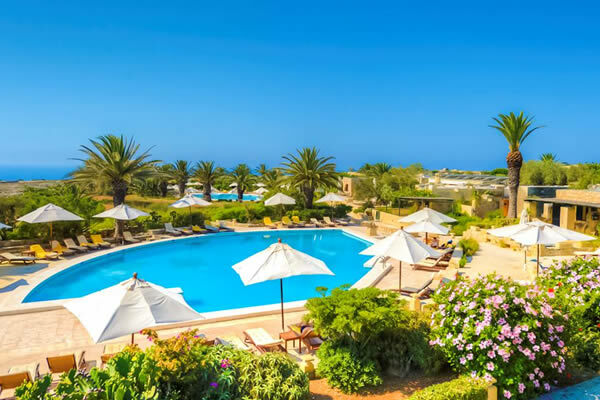 Nestled within beautiful tropical gardens, the Azia Resort and Spa is a stunning property offering luxury and comfort by the sea. Flights included. 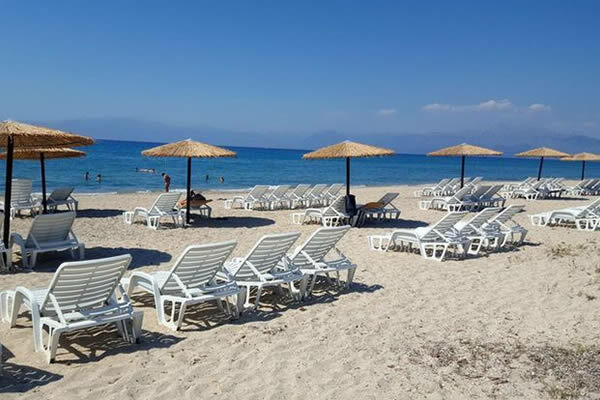 Flooded with sunshine over 300 days a year, Kos' provides the perfect environment for days spent relaxing on the sand or sailing around the island. Flights included. 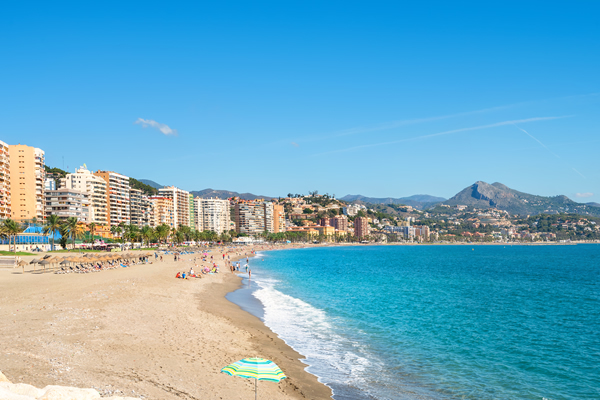 Situated in an incredible beachfront location the Marconfort Costa del Sol offers spectacular views of the Mediterranean Sea. Flights included. 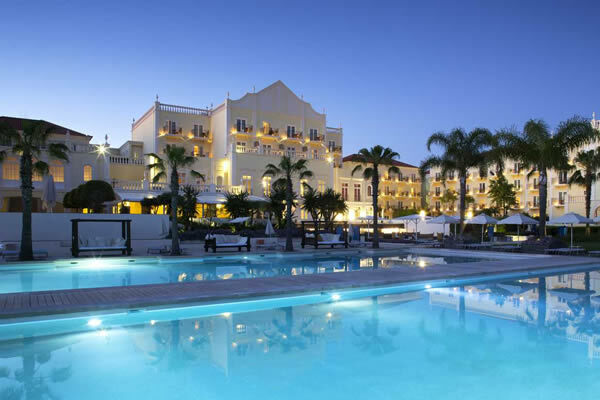 This luxury hotel is located right on the coast and boasts excellent facilities. A great choice for families or couples. Flights included. 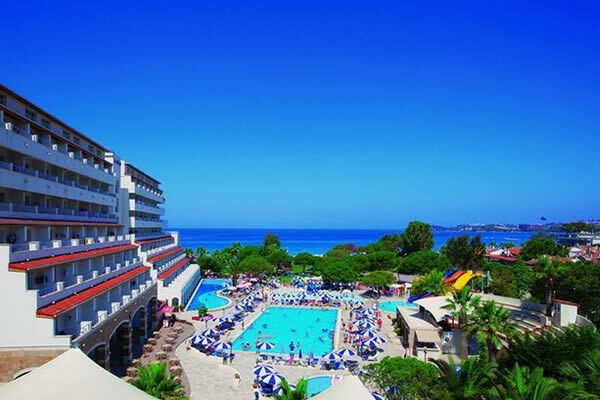 Stay at the deluxe Riviera Hotel, boasting a private beach area, 3 restaurants and a great entertainment programme. Flights included. 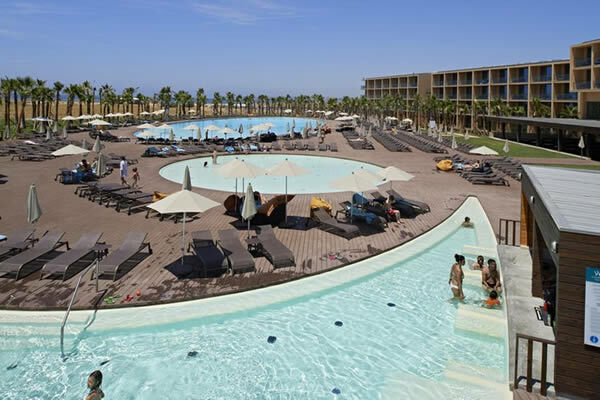 Located right on the beachfront, this hotel boasts 7 swimming pools, a waterpark, 3 restaurants, 5 bars and much more! Flights included. 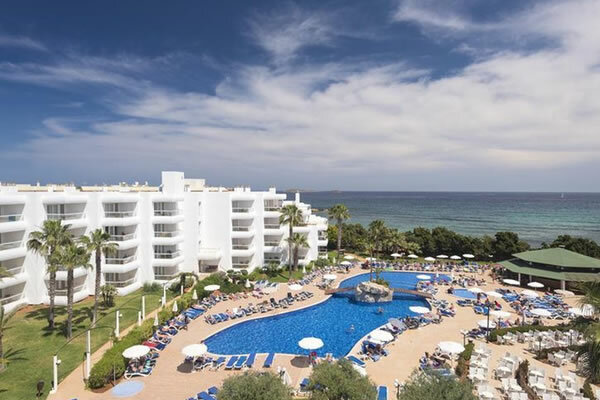 This hotel is located just a short walk away from Ibiza town and has great facilities including a swimming pool and 2 restaurants. Flights included. This hotel boasts a beautiful beachfront location and excellent amenities including an Olympic sized pool, a splash pool and entertainment. Flights included. 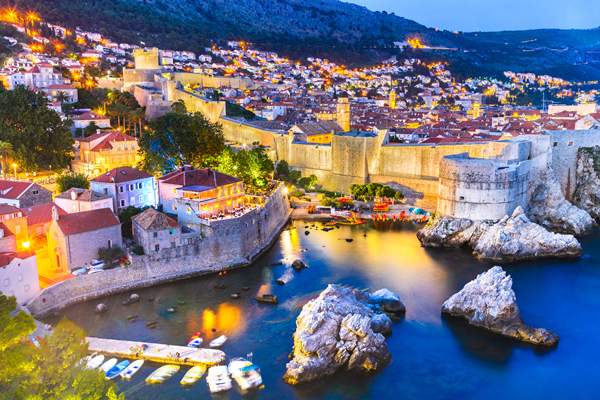 Stay at the deluxe Dynastic Hotel, located right in the centre and boasting fantastic amenities great for couples or families. Flights included. 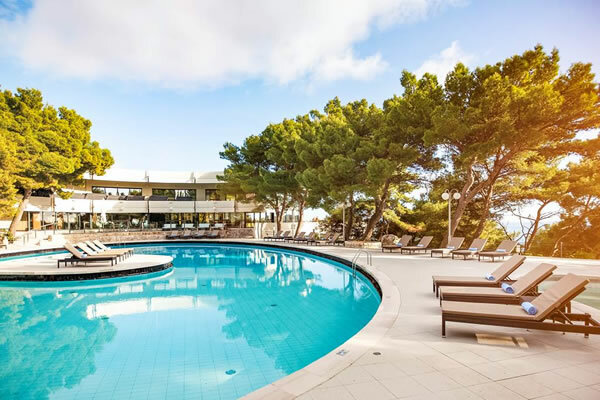 Located just a stone's throw away on the outskirts of Cala Bona, this hotel provides great onsite facilities including an outdoor pool and spa centre. Flights included. 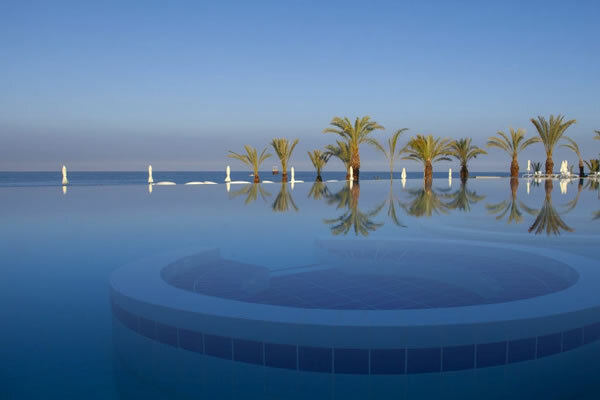 Stay at the deluxe Marhaba Palace, boasting a superb beachfront location, fabulous swimming pools and a spa. Flights included. Facilities available at the hotel are a restaurant, a dining area, a breakfast room and a bar. Shopping facilities are also available. Flights included. 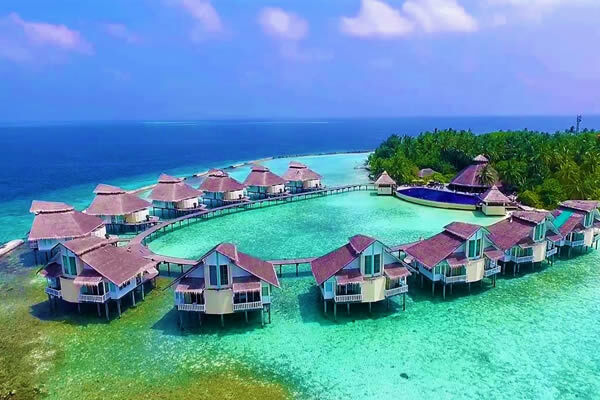 Ellaidhoo Maldives by Cinnamon is surrounded by a fabulous house reef, abundant with fish and colourful corals, and boasts excellent diving and snorkelling. Flights included. 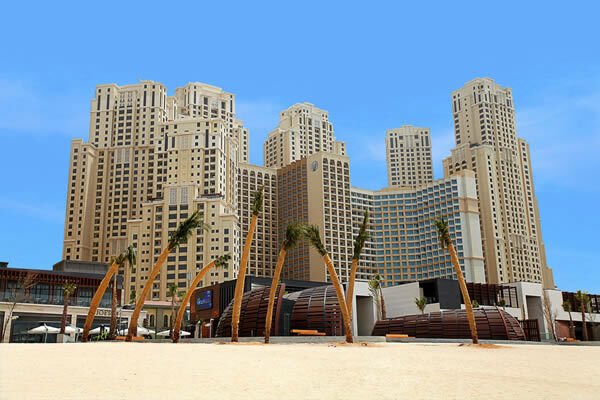 Amwaj Rotana is located along The Walk, and benefits from being close to Jumeirah Beach and Beach Mall which features a children's water park. Flights included. Holidays to the Aqua Mirage Club are ideal for families, thanks to the waterpark, kids' clubs and free shuttle to Marrakech. Flights included. 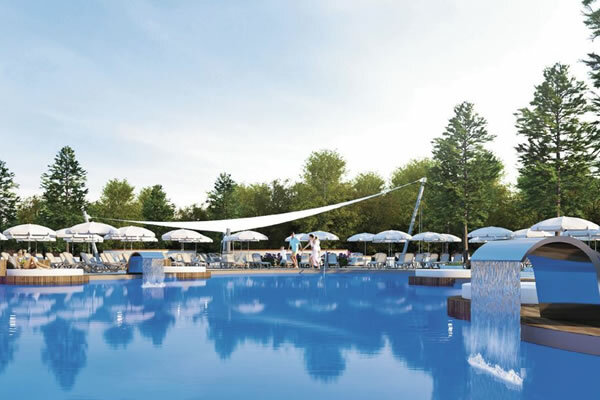 A near-the-beach base, three pools and activities on tap - the new SuneoClub Aristoteles has plenty up its sleeve. Flights included. 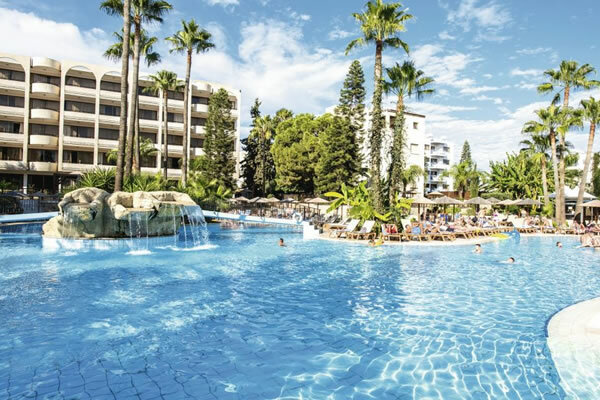 With a selection of pools, restaurants and even a water park, you have a fantastic selection of options at this great four star hotel. Flights included. 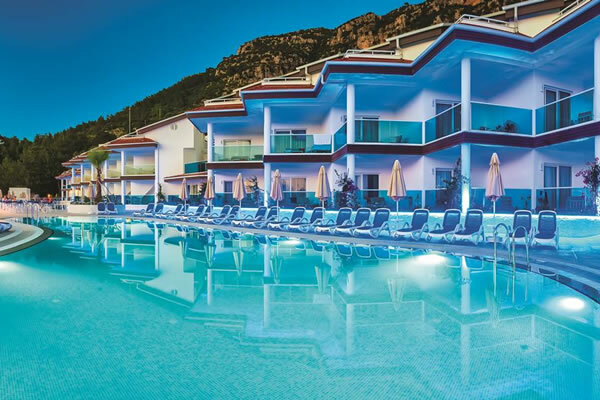 This club resort is a new luxurious establishment set in its own beautiful grounds in Marmaris and has 2 pools, a waterslide and much more. Flights included. An Immaculate, Intimate and Inviting escape, just oozing with bespoke charm and decor. Flights & Transfers included. 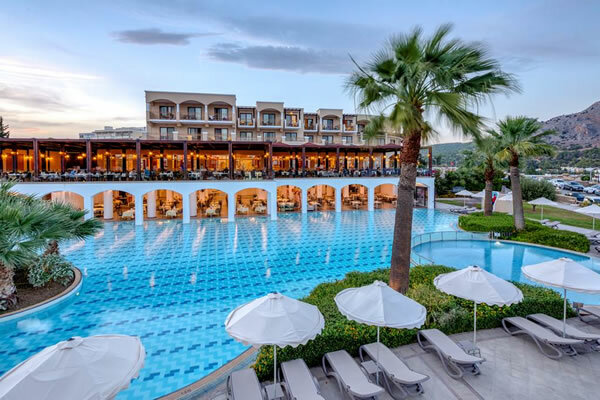 Kaya Palazzo is luxurious resort in Kyrenia on the picturesque seafront with striking character, plush surroundings and deluxe facilities. Flights & Transfers included. Offering a good choice of accommodation, great value and a fantastic service, at the Ship Inn you can expect the best from a beautifully tranquil setting. Flights & Transfers included. 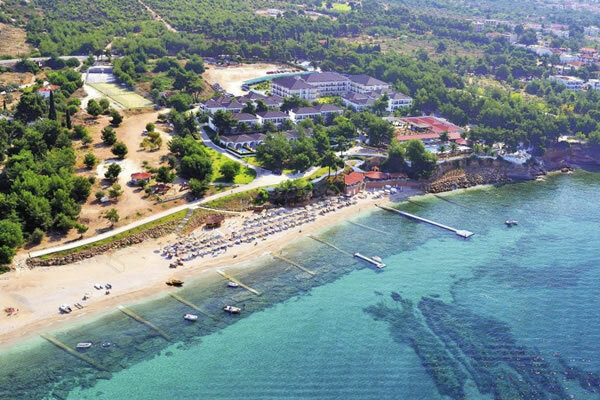 Salamis Bay Conti Resort is set on one of the finest golden sandy beaches on the island - a splendid beach holiday! Flights & Transfers included. 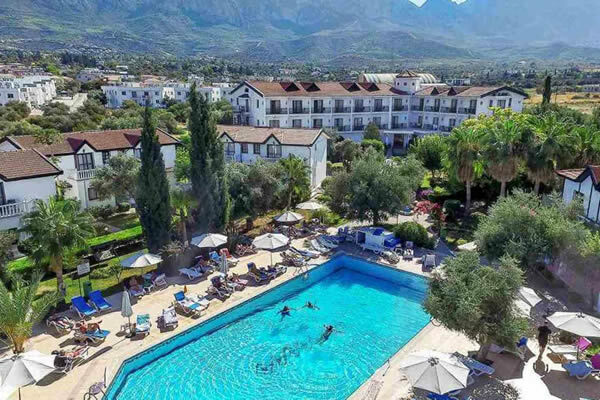 Nestled comfortably in the foothills of the Kyrenia Mountain range, this resort is one of our most popular tranquil choices for both couples and families. Flights & Transfers included. Upgrade to Half Board for FREE & experience 2 FREE cultural meals with flexible meal plan. 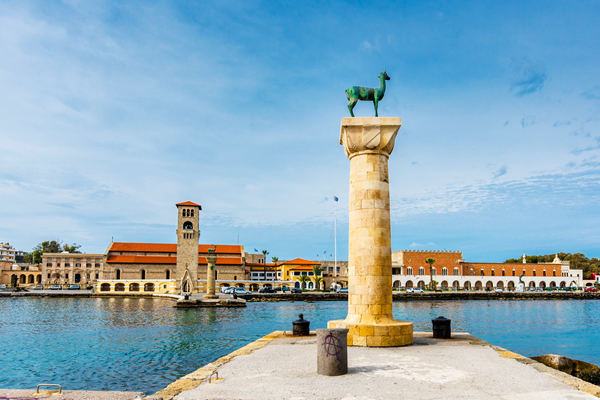 Minutes from the historical harbour. Flights & Transfers Included. The Long Beach Resort boasts the heavenly pleasure of sleeping by the sea with fantastic hotel facilities at excellent value. Flights & Transfers included. 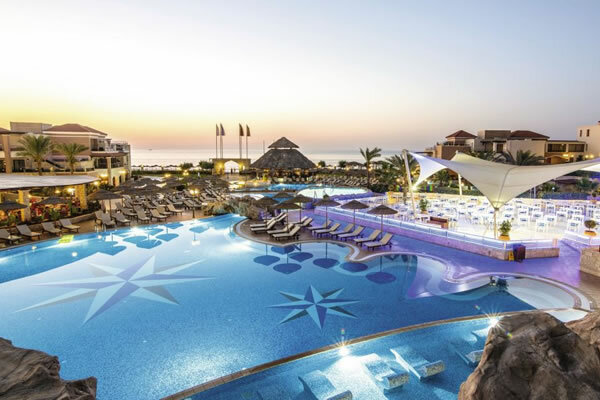 Experience the essence of paradise in this brand new luxury resort with FREE 1 night a la carte meal & kids stay FREE. Flights & Transfers included. 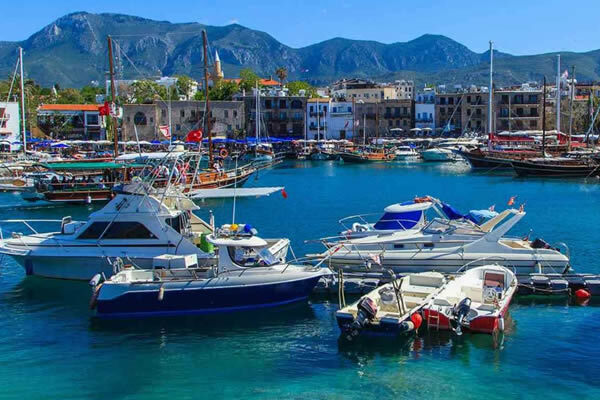 With fascinating historical sites and plenty of shops on your doorstep, this cosy hotel is situated in the ideal place to enjoy the popular town of Kyrenia. Flights & Transfers included. 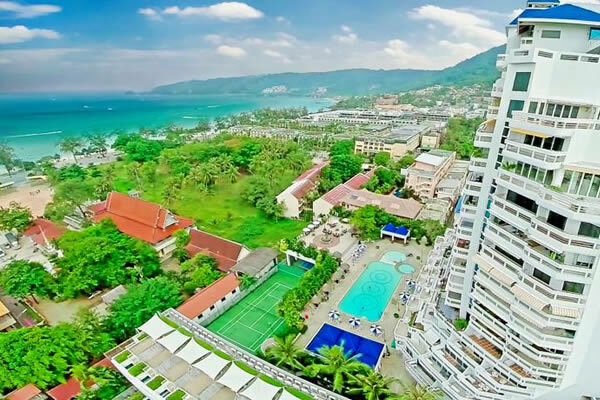 5* Luxury Acapulco Beach & Spa Resort offers outstanding facilities creating an unforgettable holiday by the golden sandy beach. Flights & Transfers included. 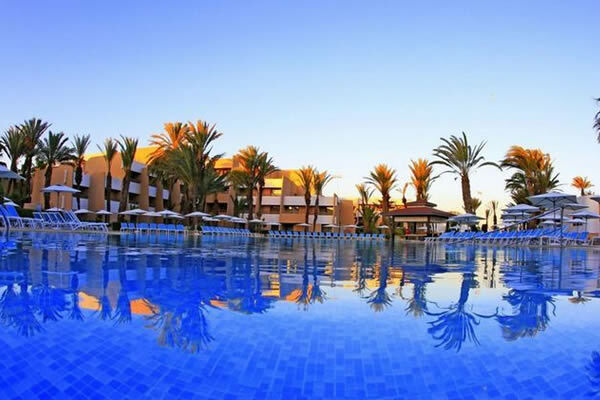 This hotel offers excellent amenities including indoor and outdoor pools, spa, entertainment programme and 2 beach bars. Flights included. 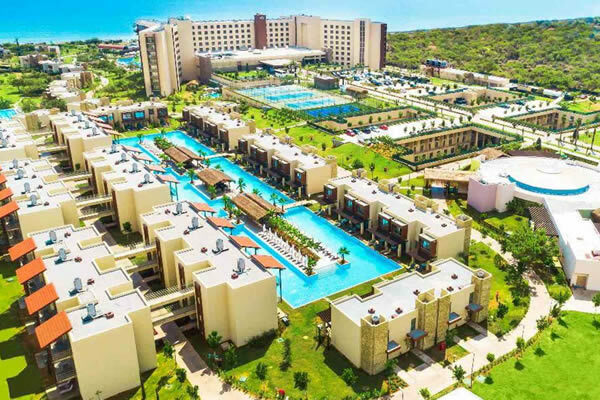 Located right on the beachfront and boasting excellent amenities including a private beach, onsite waterpark and much more. Flights included. 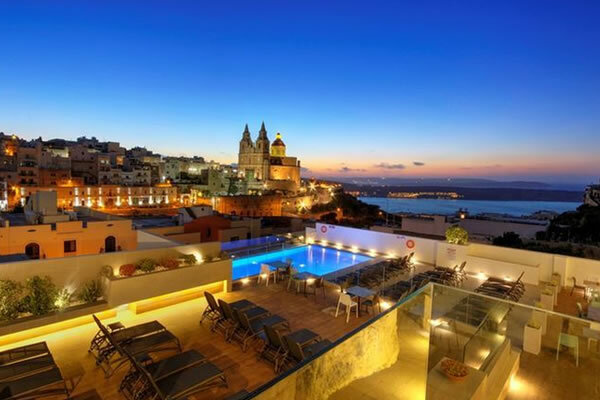 Stay at the deluxe Diar Lemdina, boasting a nearby private beach, 3 swimming pools and a kids club. Flights included. 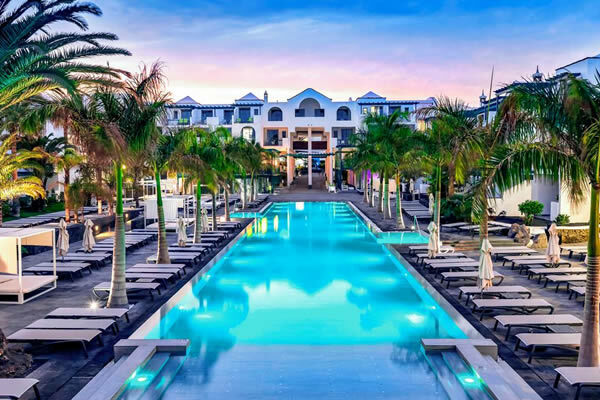 This hotel is located right on the beachfront and boasts excellent amenities including outdoor and indoor pools, a spa and fine dining. Flights included. 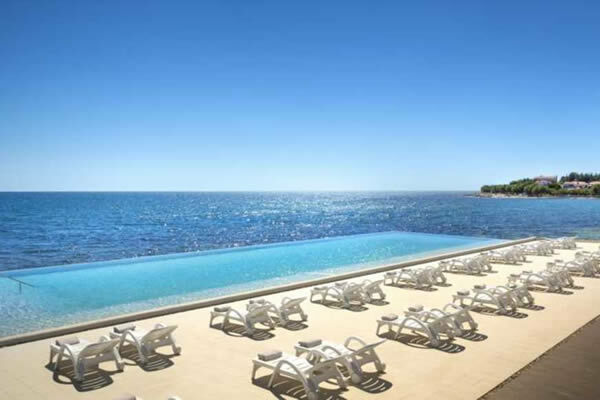 Stay right on the seafront and enjoy use of 2 outdoor swimming pools, 4 restaurants, 4 bars and a luxury spa centre. Flights included. Located right on the beachfront and boasting superb onsite amenities, this hotel is a great choice for families or couples. Flights included. 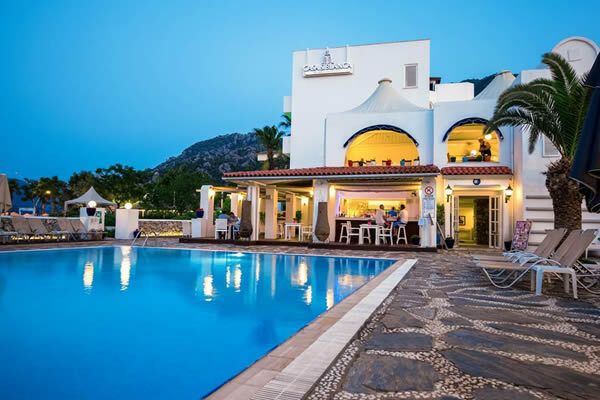 Stay at the Adriana Beach Club, located close to the beach and offering excellent onsite facilities including outdoor pools, 3 restaurants and 2 bars. Flights included. 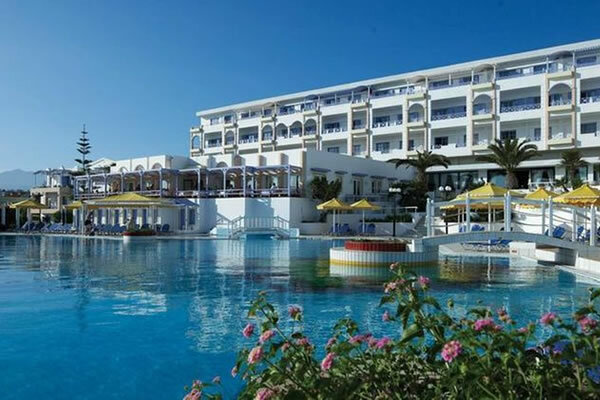 A luxurious hotel located right by the beach and offering excellent onsite facilities including 5 swimming pools, an aqua park, kids club & spa. Flights included. This hotel boasts a superb beachfront location and excellent onsite facilities including an outdoor pool, fine dining and a relaxing spa. Flights included. 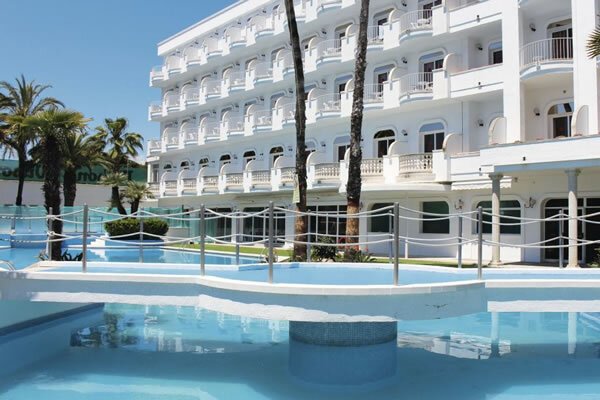 This appealing hotel is located in the centre of Torremolinos, quite close to Costa del Sol Square and the famous San Miguel shopping street. Flights included. 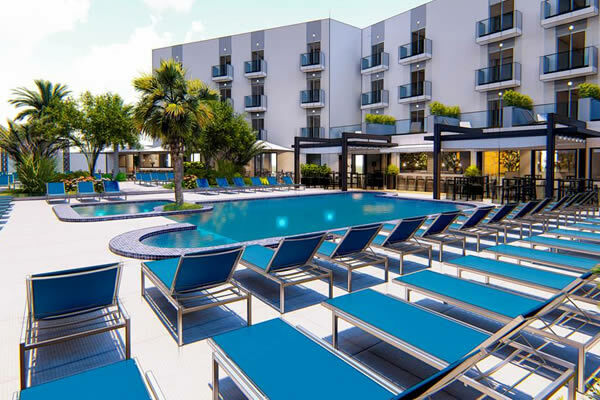 Centrally located so you are right in the heart of Cancun, the Dos Playas is a convenient base from which to explore the delights of the area. Flights included. 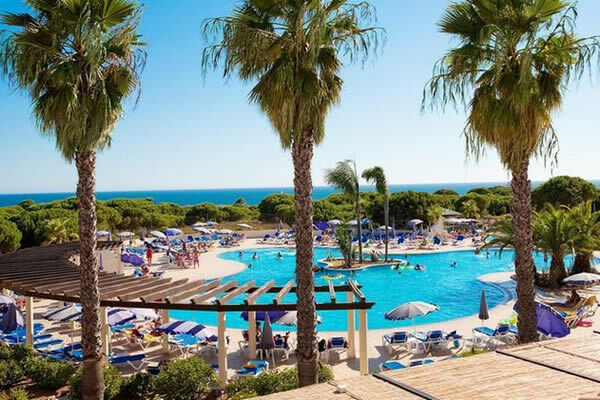 A private beach and free wifi are just some of the great things you'll find at Hotel Maestral, an excellent choice for a family-friendly holiday. Flights included. 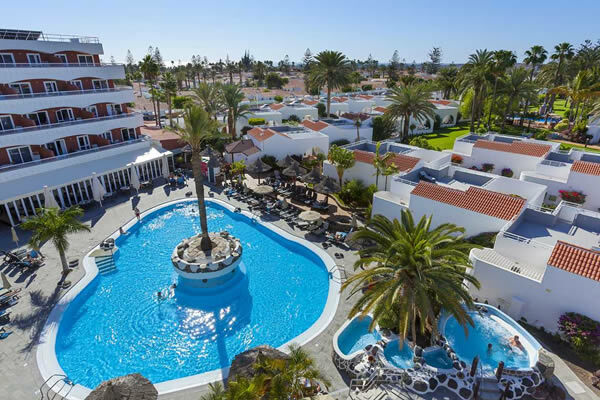 The Riu Palace Jandia is ideally located just steps away from the beachfront and is close to a number of local amenities. Flights included. 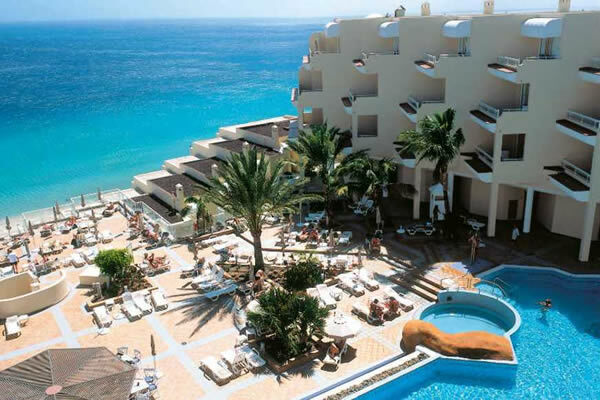 This attractive complex of three hotels is situated in the tranquil area of La Paz in Puerto de la Cruz. Flights included. 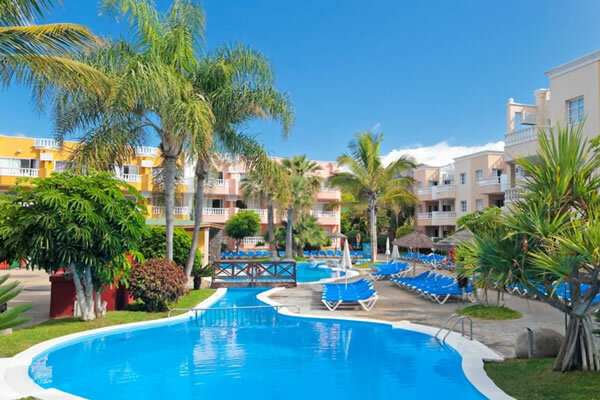 This hotel is ideally located in Playa Blanca's tourist centre, within easy reach via shuttle bus of Playa Dorada, one of the best beaches in the area. Flights included. 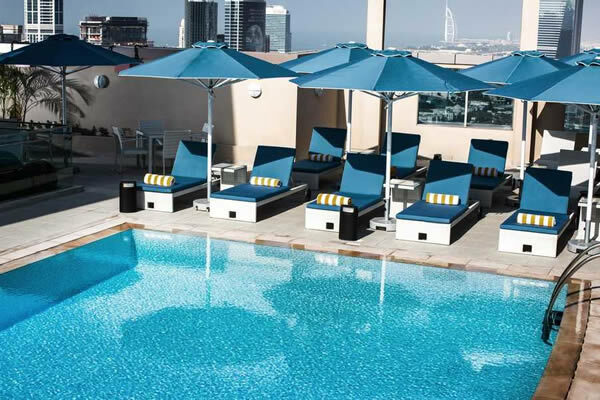 Featuring an outdoor pool, spa facilities and four restaurants, this property offers comfortable accommodation for a relaxing stay in Dubai. Flights included. 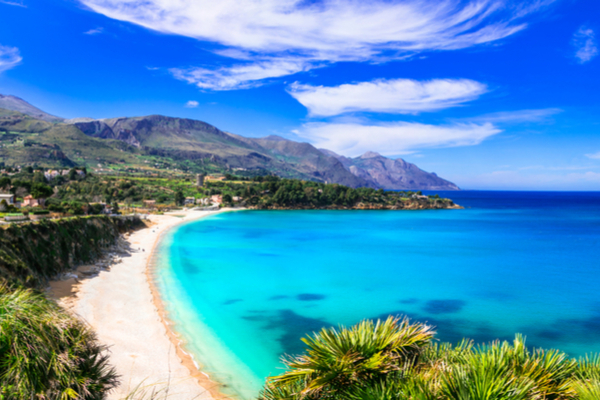 The Eolian Milazzo Hotel is located just a short walk away from Milazzo city centre and the beachfront. Flights included. 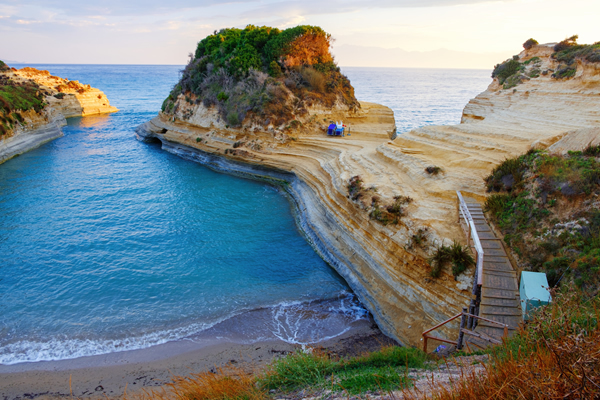 This stunning complex enjoys one of Corfu's most picture-perfect settings, nestled between lush green forests and the sparkling sea. Flights included. This modern style, family-run hotel complex consists of a main building and three 2-level annex buildings. Flights included. 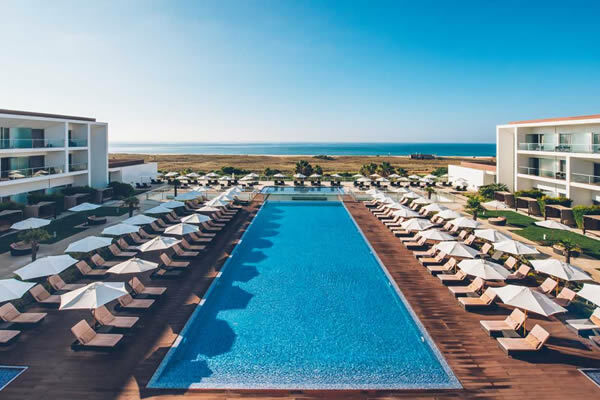 This luxury hotel is located in the heart of Vilamoura, directly beside the marina and about 200 m from the hotel's private stretch of beach. Flights included. 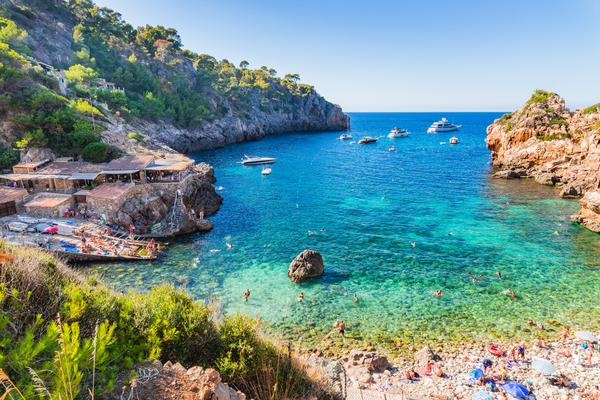 Lovers of all things sun, sea and sand are in luck, as the huge beach is just minutes away. Flights included. 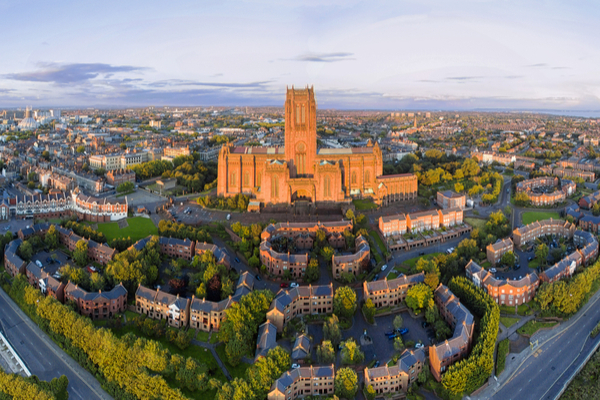 Offering modern accommodation in a great location, this property is a great choice for those looking to enjoy a sophisticated city break by the sea. Flights included. 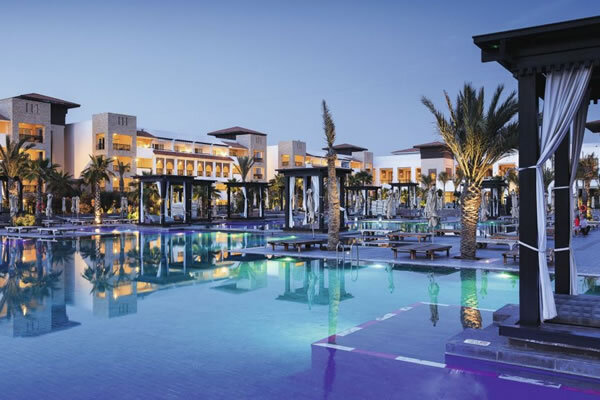 This complex boasts outdoor swimming pools, a seasonal entertainment programme, kids club and poolside bar. Flights included. 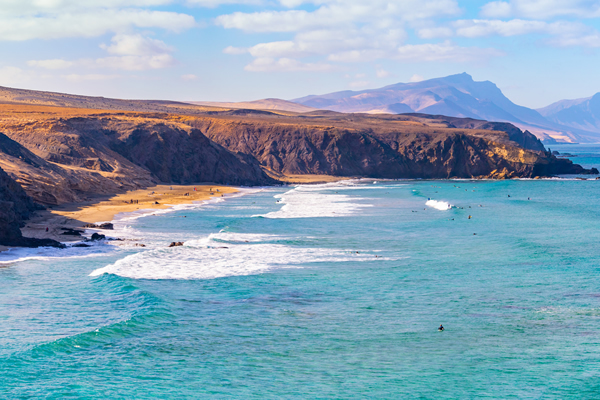 With great on-site facilities and an attractive location, this property is perfect for a couples' holiday in the Canary Islands. Flights included. 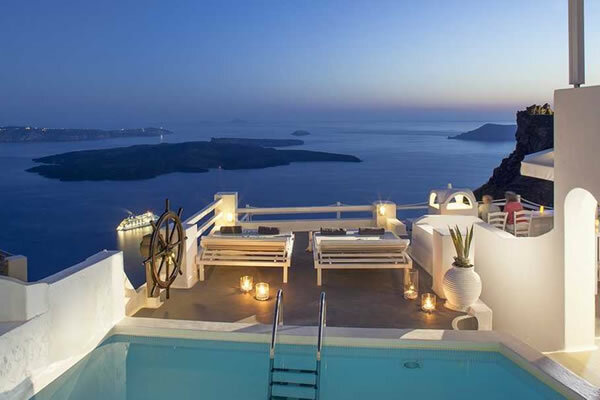 This hotel offers spectacular views across the island. 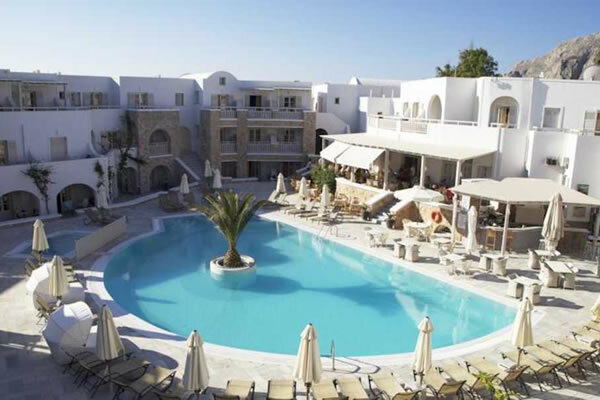 Facilities include swimming pool, restaurant, spa, laundry service and WiFi. Flights included. 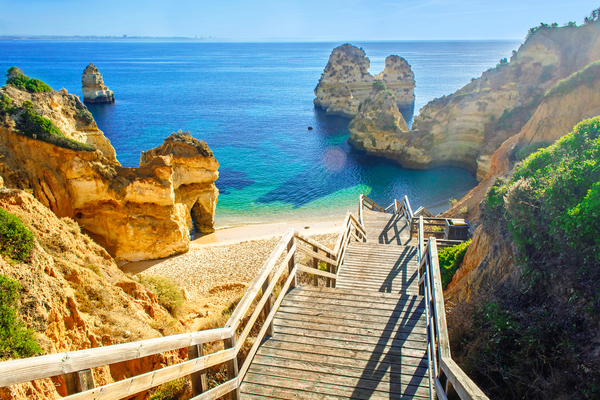 Placed perfectly on the southern coast of Portugal, the Iberostar Selection Lagos Algarve is the ideal place for families and couples. Flights included. 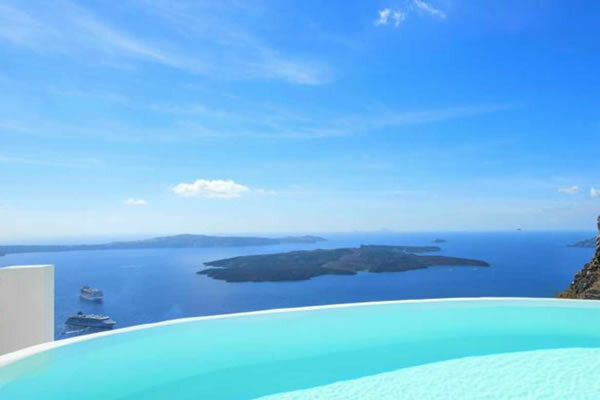 Acroterra Rosa Luxury Suites boasts an infinity swimming pool and offers stunning views over the over the Caldera and the Aegean Sea. Flights included. 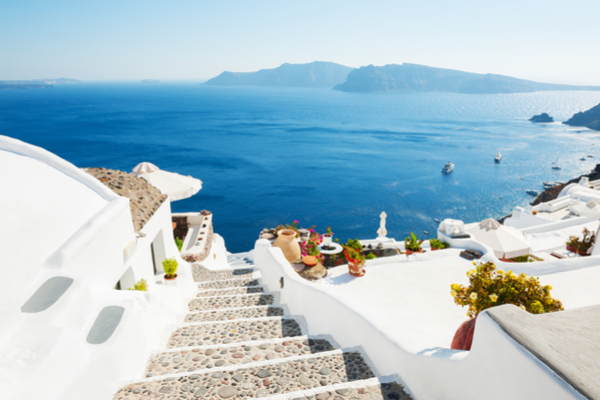 Caldera Villas is a complex with 12 traditional cave units situated at the Cliffside of Oia village, with a view to the volcano Caldera. Flights included. 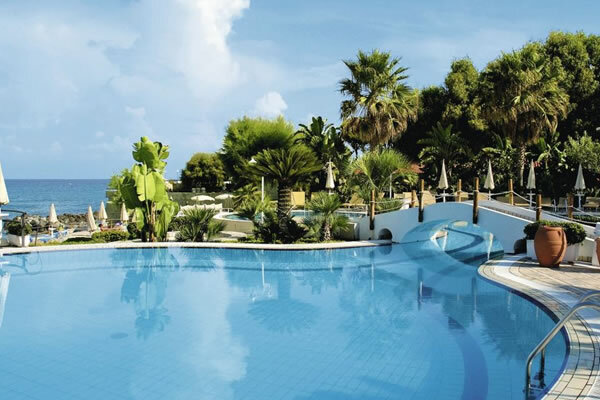 Located on the beachfront of Chlorakas bay, this hotel has its own water-park, kids club and a la carte restaurants. Flights included. 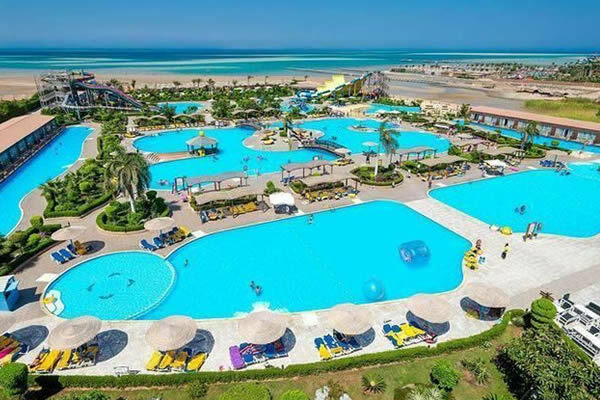 This complex offers a water-park complete with a wave pool, adults only pool, range of children's clubs, mini golf and much more. Flights included. 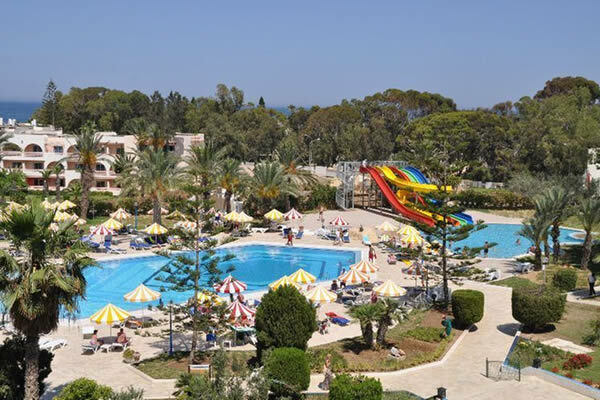 With its location on the beachfront, the Labranda Sandy Beach Resort is surrounded by spacious gardens and close to the resort centre. Flights included. 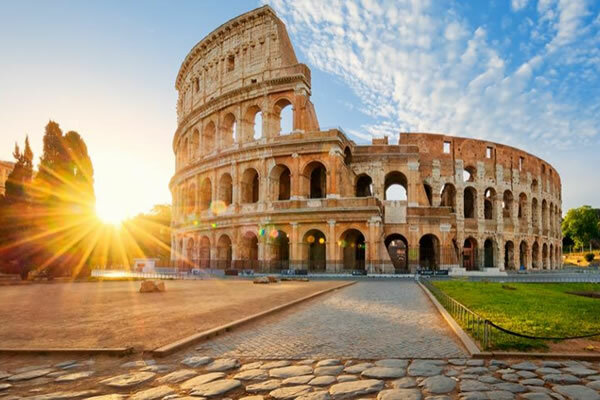 Situated by Termini railway station and bus stations, this trip is ideal for anyone seeking tranquility and elegance for their stay in the heart of Rome. Flights included. 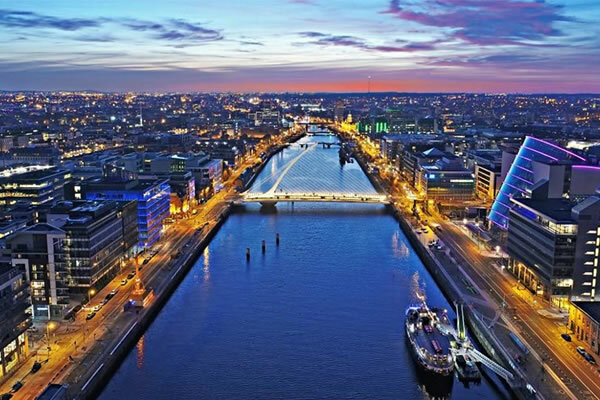 Jury's Inn Parnell Street is not only near the historic O'Connell Street, but is part of the most vibrant and exciting area of Dublin. Flights included. 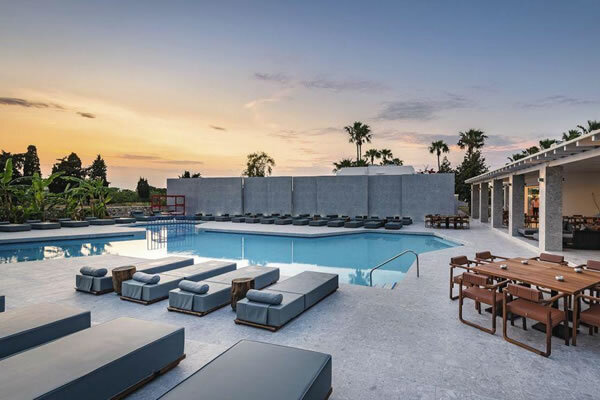 A luxury boutique that stands out for its modern style, with carefully tended gardens, whitewashed paved paths and the great views. Flights included. 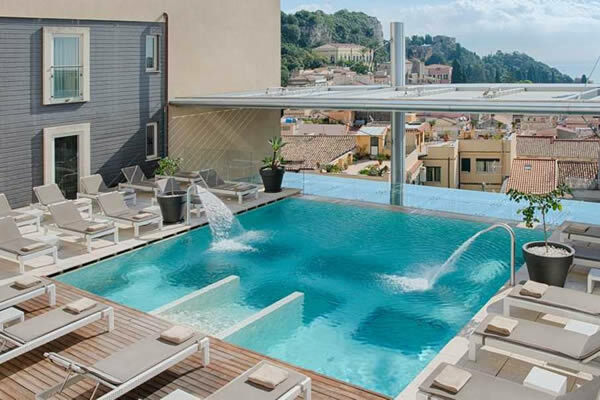 This hotel offers an amazing spa where you can treat yourself to a spa treatment or relax in the garden area with four swimming pools. Flights included. 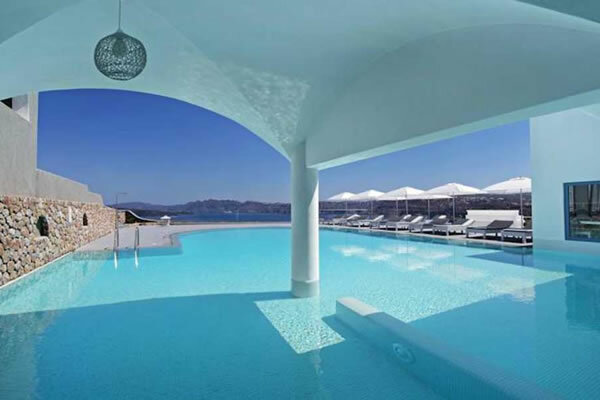 The boutique resort has been renovated to an elegant white and marble building, surrounded by paths to compliment the deep blue sky of Santorini. Flights included. 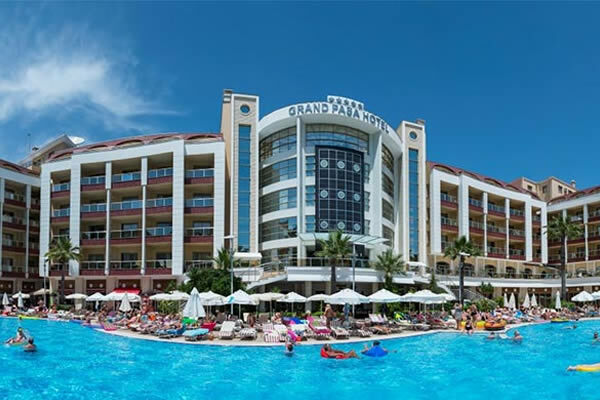 Aegean Plaza Hotel is located on the sandy beach of Kamari and was totally renovated in 2014. Flights included. 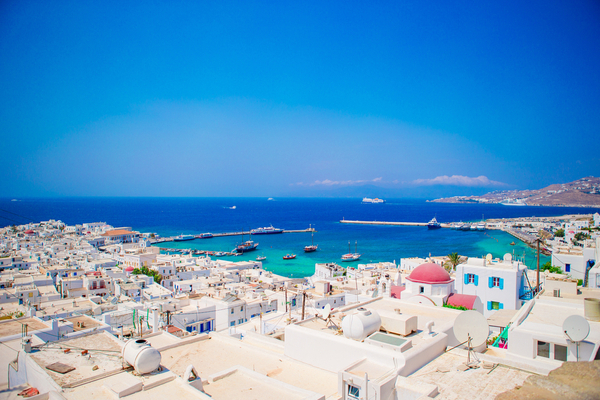 On The Rocks is located in Imerovigli. 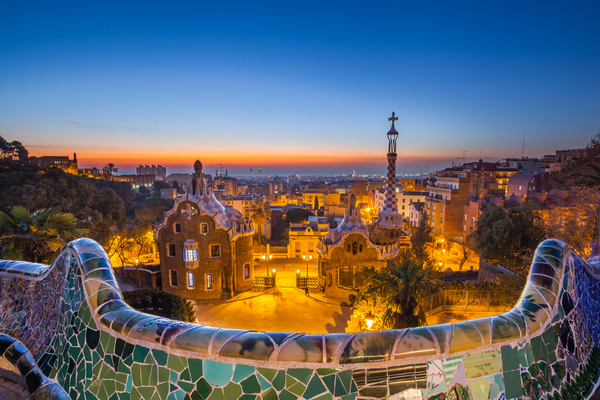 Guests will find many restaurants, mini markets, cafes, and tourist shops within walking distance. Flights included. 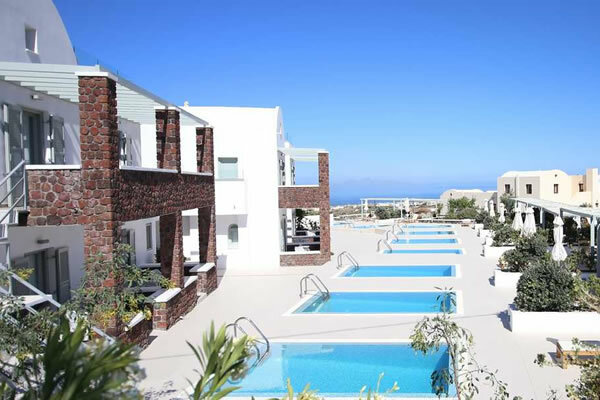 This complex of buildings features contemporary design which respects the precepts of traditional Cycladic architecture. Flights included. 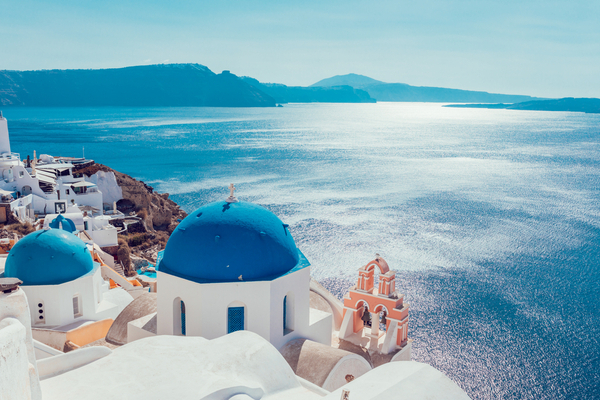 This full service hotel is carved into the dramatic black lava rocks of Santorini volcanic rim, overlooking the caldera, San Antonio. Flights included. 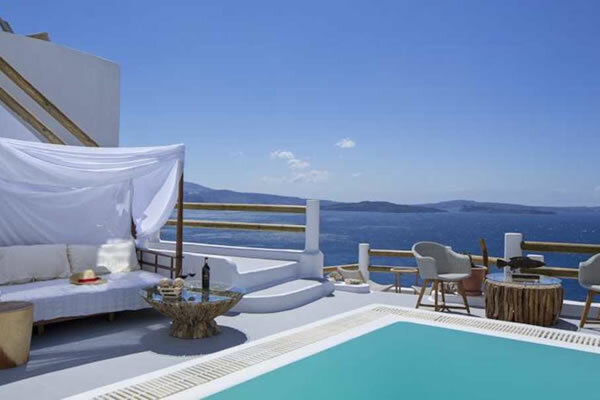 Aqua Luxury Suites boasts panoramic views of the Aegean Sea, just 3km from Fira. The onsite Spa offers a massage service and selection of treatments. Flights included. Guests can relax by the outdoor swimming pool or in the Spa. There is also a onsite gym and the hotel also offers a wine tasting experience! Flights included. 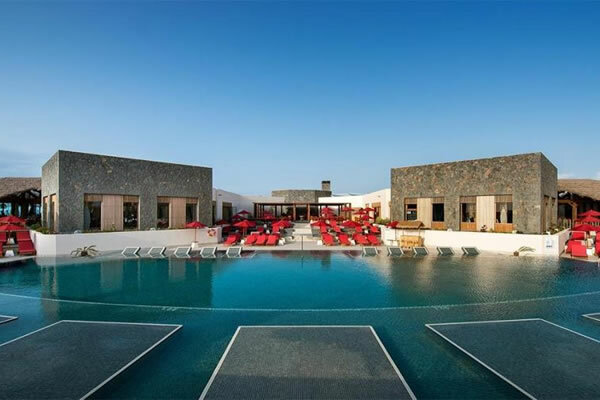 Guests can take a dip outdoor swimming pool, workout in the gym and enjoy traditional dishes at the onsite restaurant. Flights included. 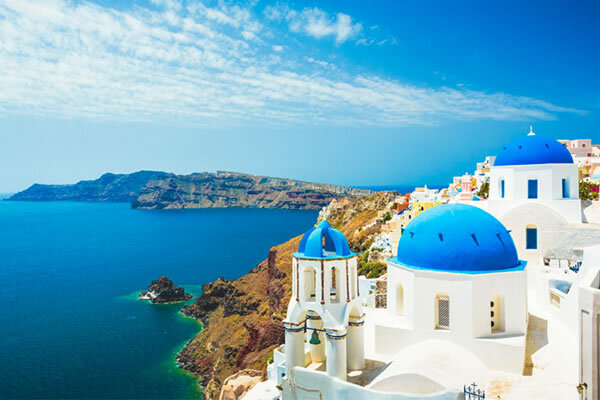 Offering comfortable accommodation at a great price, this property is a great choice for those looking for a budget-friendly beach break in Santorini. Flights included. 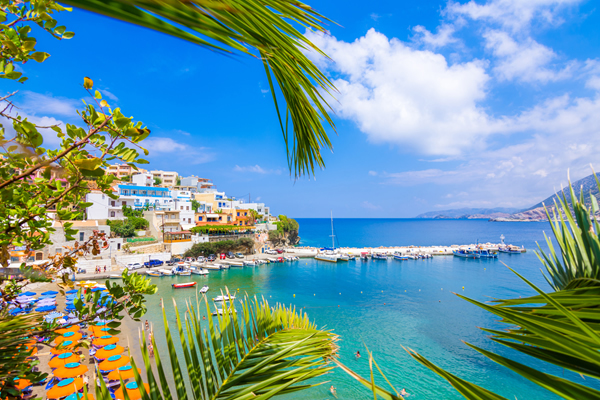 Steps from the sandy beach, Iliada Studios boasts charming accommodation. There is a outdoor swimming pool and Jacuzzi! Flights included. 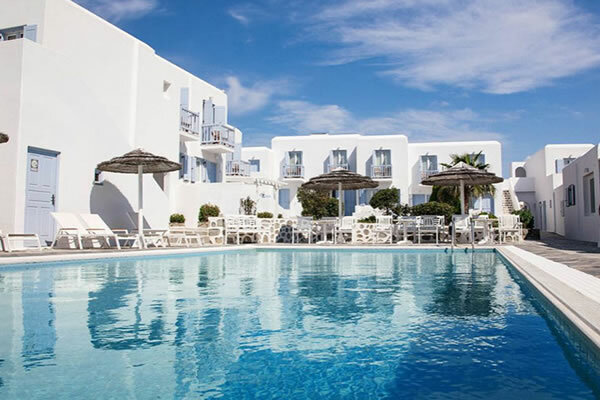 Ancient Thira Hotel is located just paces from the sandy beach. 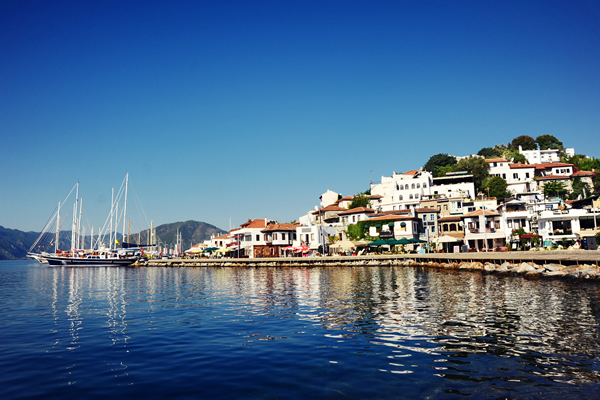 At the edge of the town there is an area with waterfront restaurants and bars. Flights included. 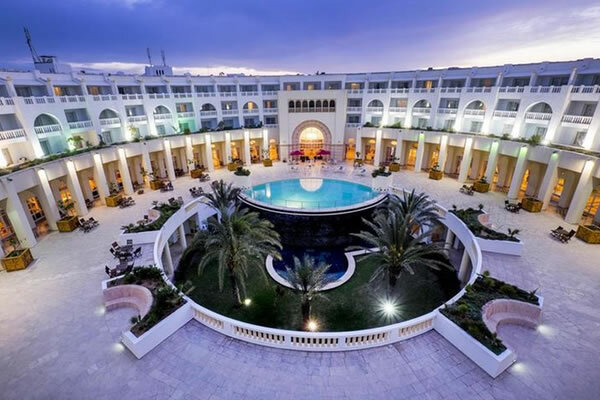 This hotel is located 10 minutes from Marrakech and boasts excellent facilities including a waterpark, heated pools and a hotel spa. Flights included. Located right in the centre and boasting excellent amenities, the Pergola Club Hotel is a great choice for families and couples alike. Flights included. Located close to the beach between the villages of Lardos and Kiotari a great choice for couples and families alike. Flights included. 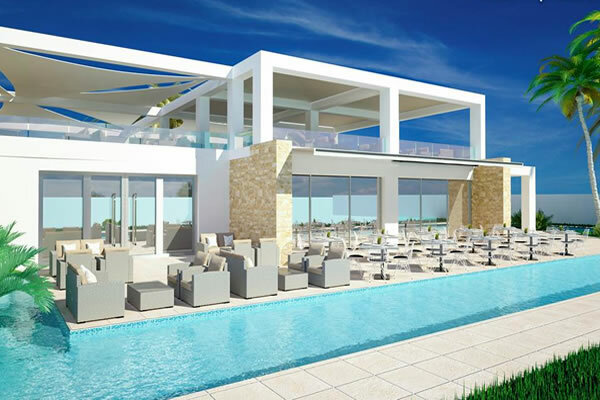 Here, guests will enjoy fabulous cuisine, soaking up the sunshine beside the 2 swimming pools or relaxing in the spa. Flights included. 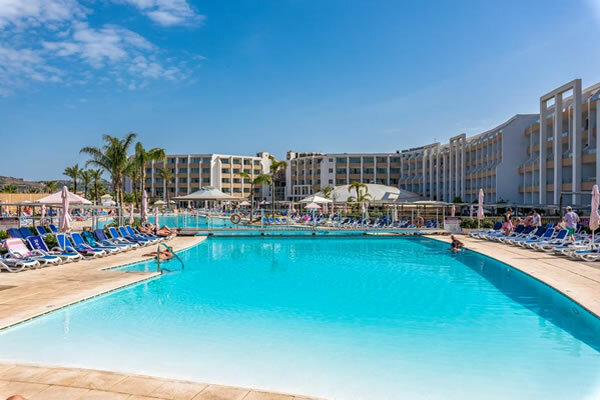 This hotel boasts excellent facilities including a lagoon-style pool, indoor pool, splash park and great entertainment programme. Flights included. 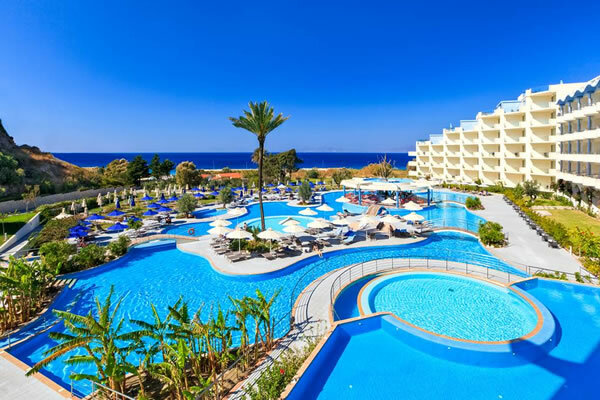 Stay at the deluxe Serita Beach, ideally located on the beach and boasting superb facilities including 2 swimming pools and a spa. Flights included. This hotel is located right on the beachfront and boasts excellent amenities including a private beach, on-site waterpark and much more. Flights included. Ideal for couples and families alike, the hotel boasts an incredible beachfront location, a relaxing spa centre and entertainment programme. Flights included. Perfectly located, this deluxe hotel offers excellent onsite facilities including an outdoor swimming pool, relaxing spa and kids club. Flights included. 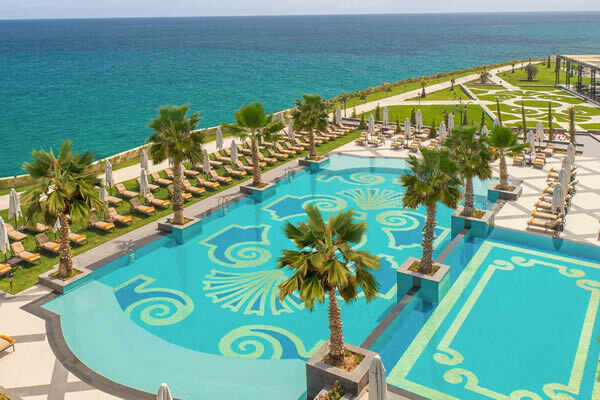 Stay at the Infinity by Yelken, a luxurious hotel ideally located right by the beach and offering 5 swimming pools, an aqua park, kids club & spa. Flights included. 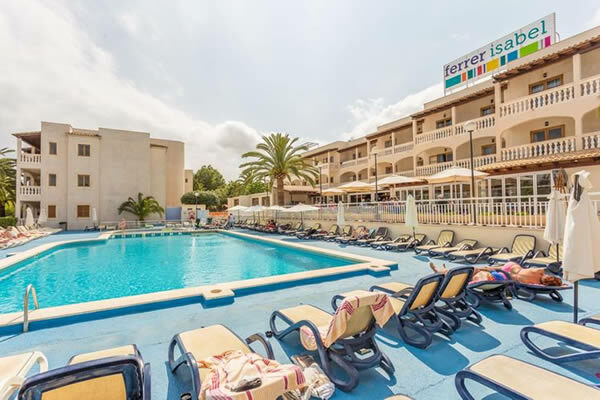 Stay at the Mar Hotels Ferrera Blanca, ideally located right by the beach and offering excellent facilities including 4 outdoor pools and a splash park. Flights included. 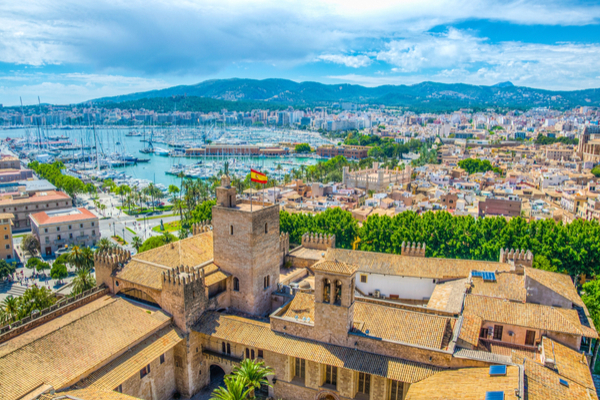 This boutique hotel in Palma finds itself just minutes from the main spots in the city, with an array of public and private transportation choices. Flights included. 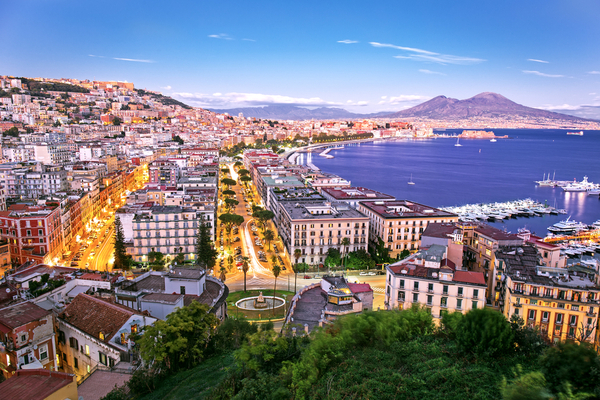 This hotel is situated in one of the areas with the most beautiful panoramic views of Naples. Flights included. 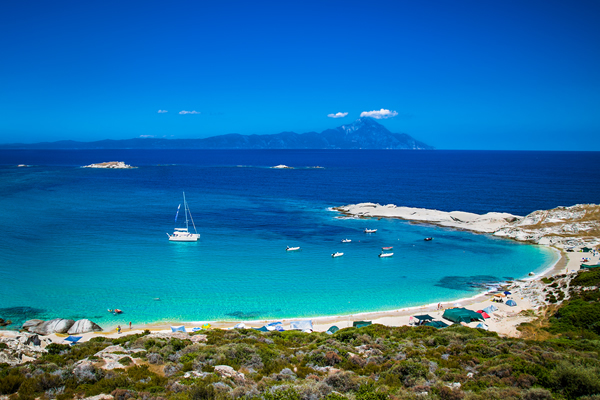 The typically Greek Meltemi Suites put you within easy reach of Perissa's beach and town centre. Flights included. 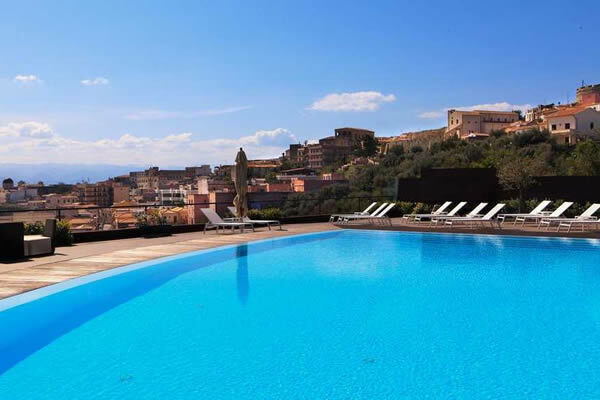 Boasting elegant modern accommodation in a great location, this property is an ideal choice for those looking to enjoy a sophisticated break in Catania. Flights included. 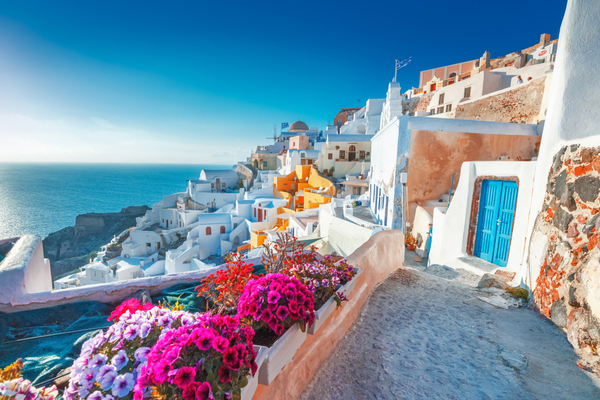 Located near the beach on the east coast of Santorini. 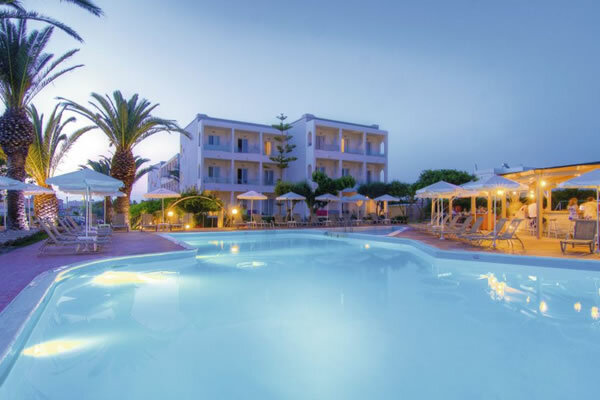 Guests can relax on the sun terrace by the outdoor swimming pool or on the nearby beach. Flights included. For a luxurious stay in a fantastic location, with opportunities to explore, this is a top pick! Flights included. 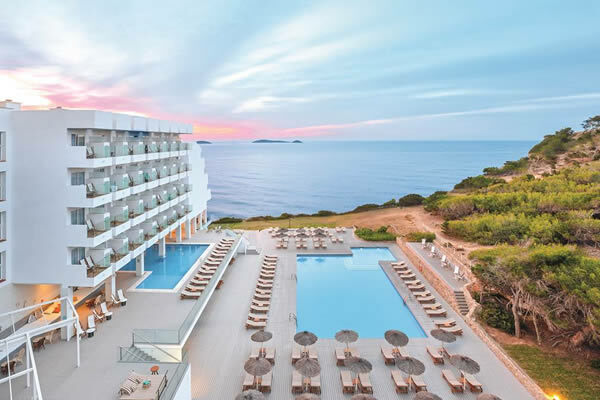 This spacious, stylish hotel is set on seven kilometres of Blue Flag golden beach offering sweeping views of the clear blue waters of the Aegean sea. Flights included. 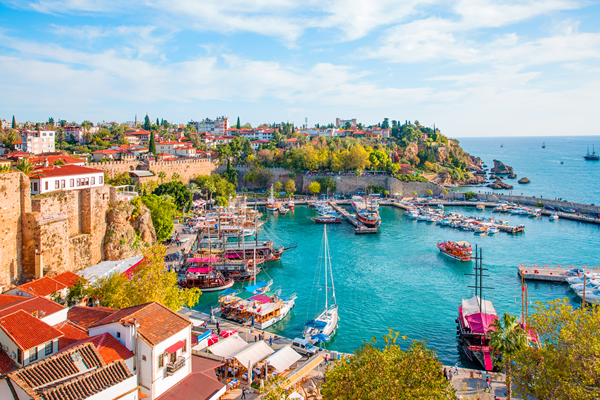 If you're looking for that extra special holiday with added luxury, then the Astir Odysseus is for you. Flights included. 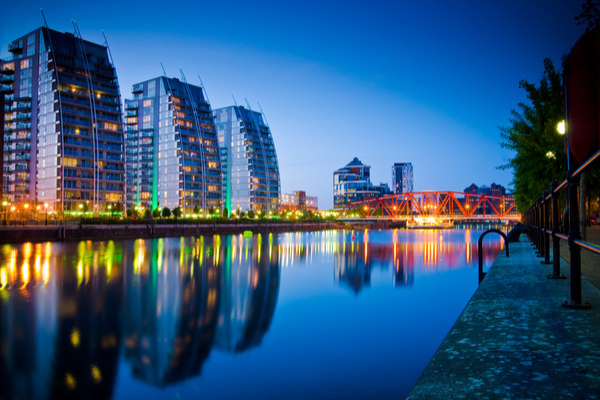 This hotel provides tasteful, modern accommodation and great care is taken to create a friendly and tranquil atmosphere. Flights included. 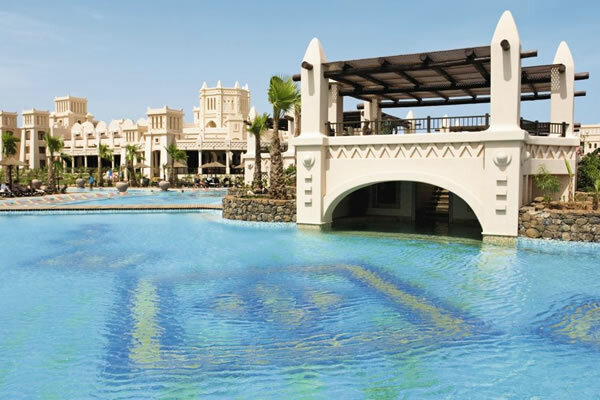 With a relaxing pool area, 5 restaurants and a range of activities, there is something for everyone to enjoy. Flights included. A luxurious hotel with a beach club vibe. 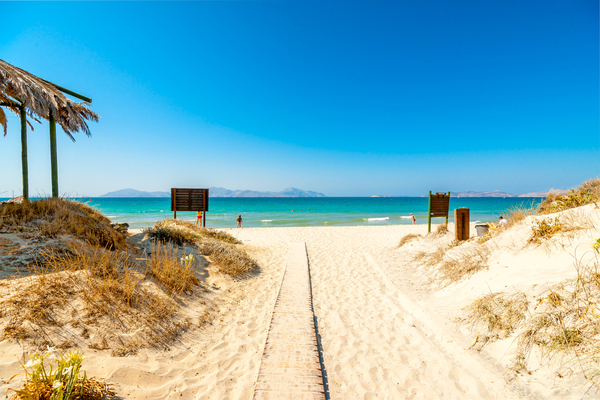 It has a fantastic location on Playa D'En Bossa's beach with its own private beach area. Flights included. 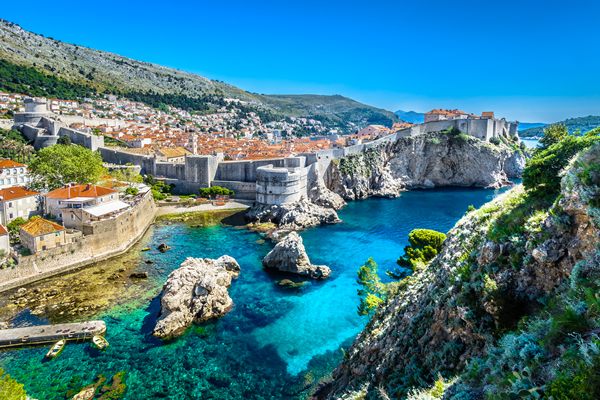 Situated in a stunning location, the luxurious Hotel Croatia provides quality accommodation and an extensive range of facilities. Flights included. 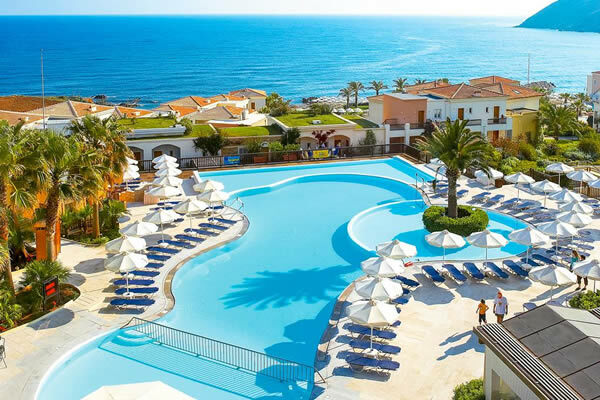 Set in a beautiful seafront location, the Labranda Kiotari Bay offers a wealth of different facilities and two fabulous pool areas. Flights included. 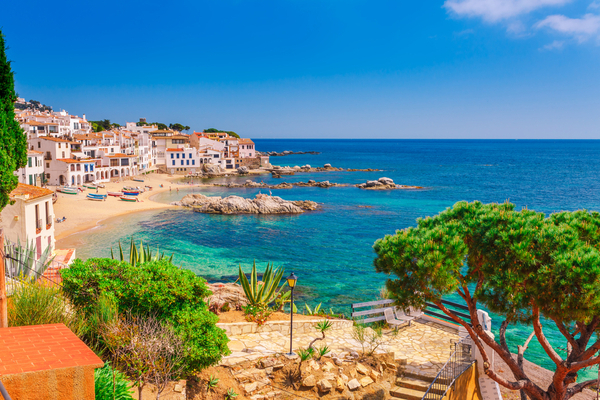 With a golden beach only a stone's throw away, it is easy to see why this hotel is popular for holidaymakers seeking some sun. Flights included. 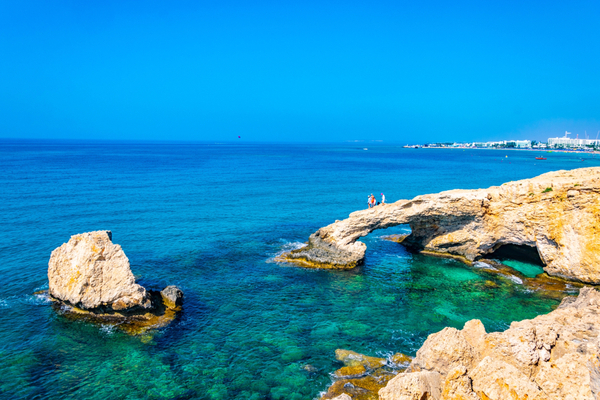 The Ascos Coral Beach Hotel in Coral Bay, Cyprus offers beautiful scenic views of the ocean due to its splendid location on a rock and shingle beach. Flights included. 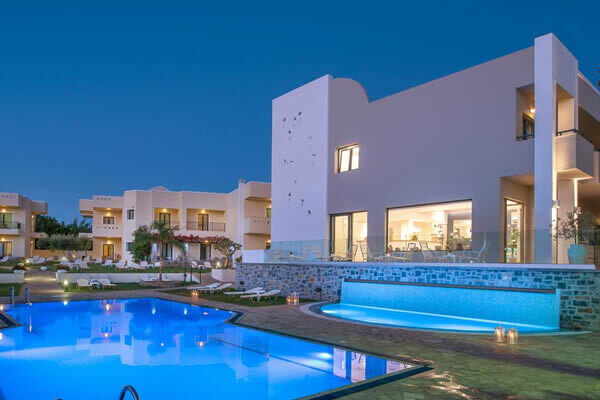 Perfect for golf enthusiasts the hotel is right next to the Maioris golf course as well as being just 1km away from the gorgeous sea. Flights included. 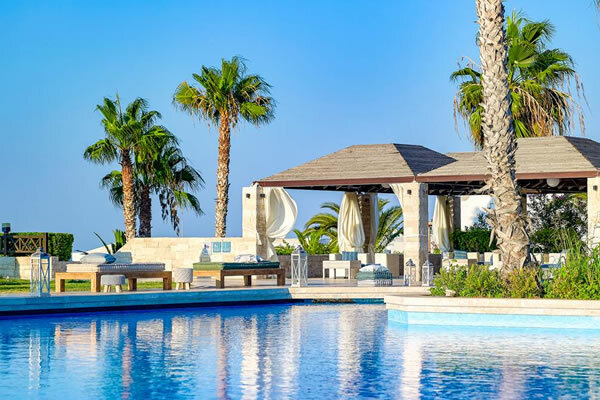 Set in large gardens, in a beachfront location, the Akti Beach Club is a wonderful choice for guests of all ages. Flights included. Thanks to its beautiful and relaxing setting at this hotel, guests can completely unwind. Flights included. 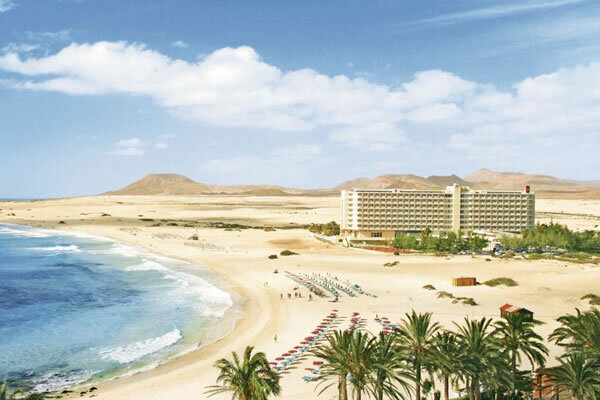 The H.Top Royal Sun Hotel has incredible sea views, chic modern suites and a great range of facilities. Flights included. 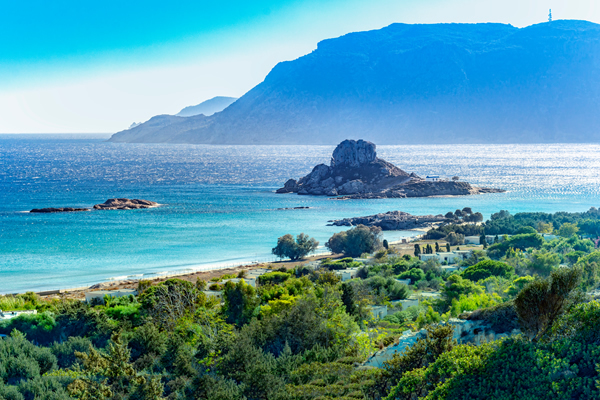 Everything about this hotel breathes relaxation and tranquillity, from the olive tree lined gardens to stunning sea and mountain views. Flights included. With its wide selection of leisure amenities including an outdoor pool with water slides and a spa, guests are truly spoilt for choice. Flights included. UP TO 30% OFF (Flexible rates). Available on BB bookings. Book 2 nights or more and enjoy a free bottle of wine. Stay just a short gallop away from the renowned racecourse and within easy reach of the designer outlet village and several family attractions. 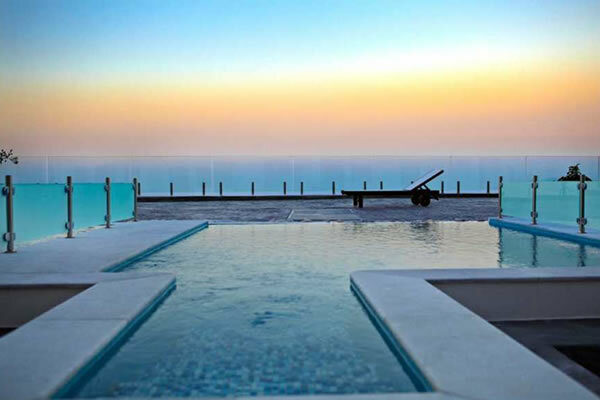 The Hotels stunning location, opposite the seafront inspires you take a dip in one of the two infinity pools where you can enjoy panoramic views. Flights included. A spacious beach is the icing on the cake at this hotel, which comes with four pools and three restaurants. Flights included. 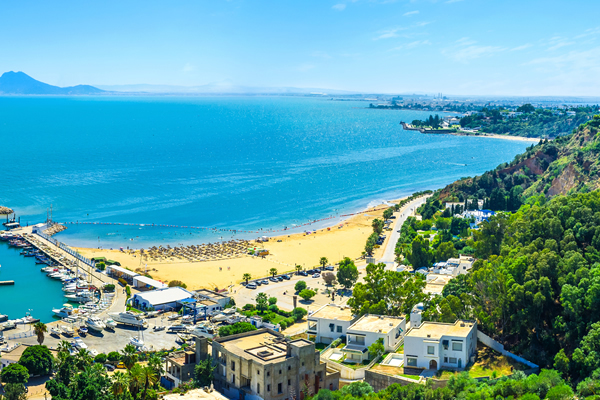 Families favour the Altura, which sets out rooms and apartments just a 10-minute wander away from sandy Tsilivi Beach. Flights included. 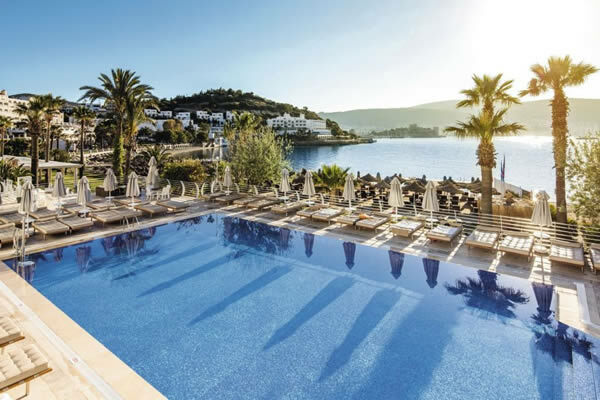 With super-slick rooms, groomed gardens and a first-rate outlook, the Voyage Bodrum is really easy on the eye. Flights included. 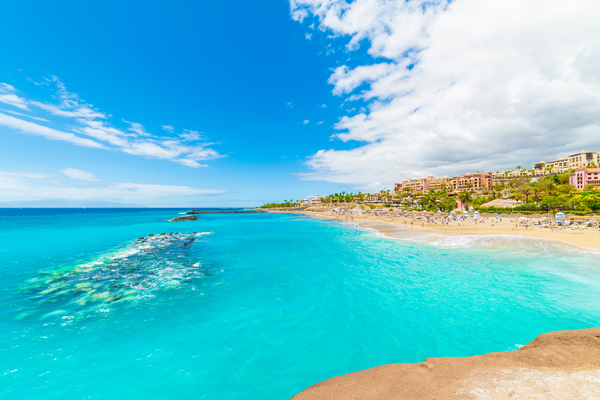 Not only does this place line up luxury suites, gourmet restaurants and a gigantic pool, it's got a sandy beach as its front garden. Flights included. This property boasts a spacious outdoor pool which is perfect for relaxing after exploring all the local area has to offer. Flights included. Effortlessly stylish, this beach-style hotel sits in a quiet spot, overlooking the cool blue sea, which adds to its laid-back beachy vibe. Flights included. 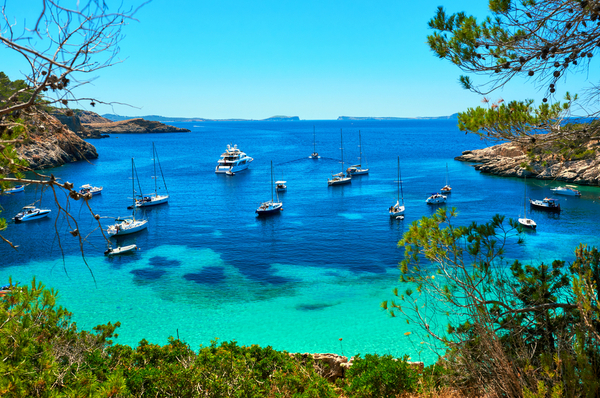 The AluaSoul Alcudia Bay delivers on all fronts - pairing up-to-the-minute interiors with a prime postcode. Flights included. 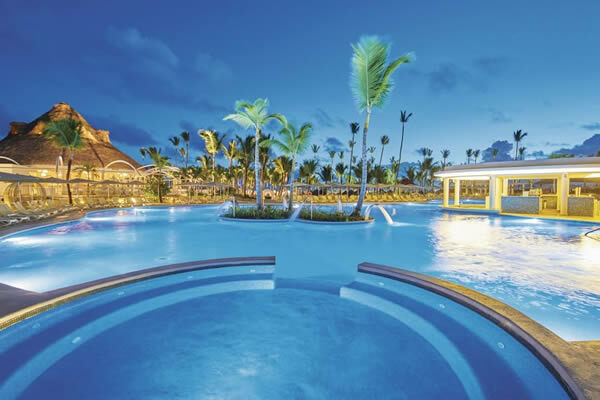 The Riu Guarana serves up a double whammy of outdoor pools, as well as a healthy activities line-up. Flights included. Stay at the incredible Batihan Beach Resort & Spa. Ideal for couples or families, this hotel boasts relaxing spa centre and entertainment programme. Flights included. On arrival at the Nh Collection Taormina, guests are greeted warmly with welcome gifts and breath-taking views of the Sicilian landscape. Flights included. 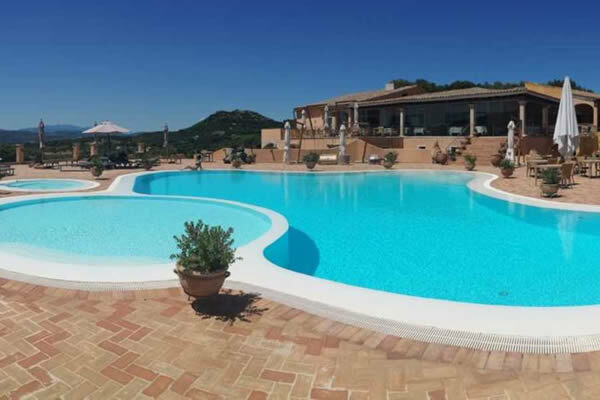 Featuring spacious traditional rooms, this property is an ideal choice for those looking to enjoy a sophisticated escape under the Italian sun. Flights included. 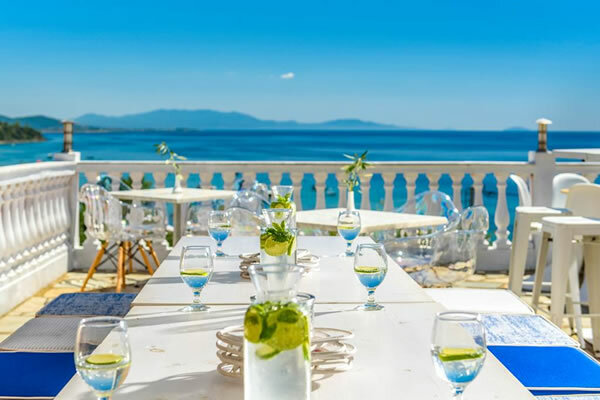 Hotel Parco degli Ulivi is located in the Gallura countryside and boasts a sun terrace by the outdoor swimming pool and an onsite restaurant. Flights included. 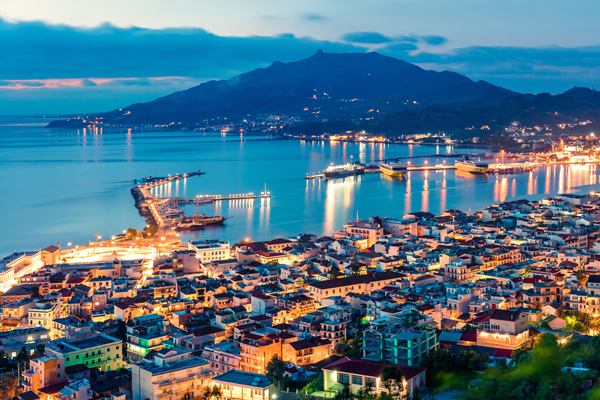 A prestigious hotel on Viareggio's charming seafront and the perfect choice for a luxurious stay in a picturesque seaside town. Flights included. 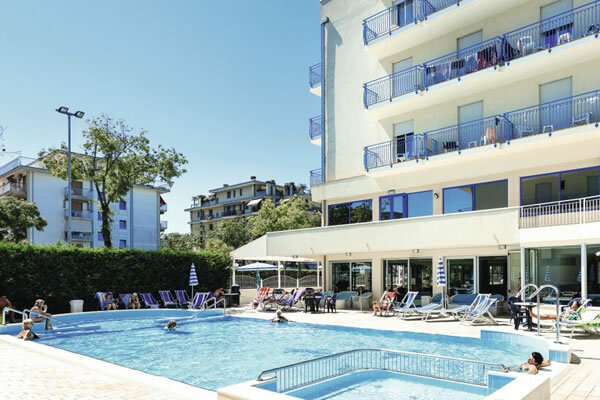 Great fun for adults and children alike, the Gardaland Hotel ticks all the boxes for a short break in Lake Garda. Flights included. 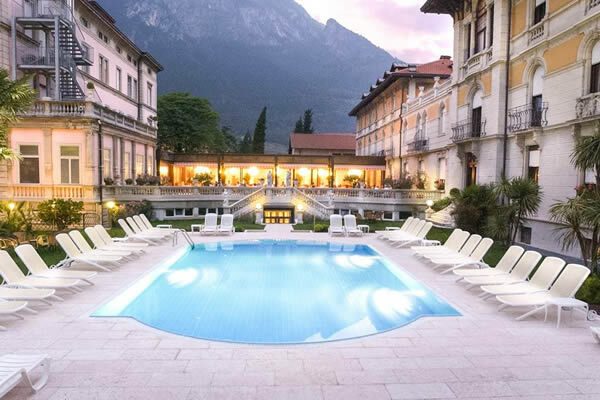 The historic Grand Hotel Liberty sits proudly in the resort centre of Riva, a short stroll from the lakeside. Flights included. 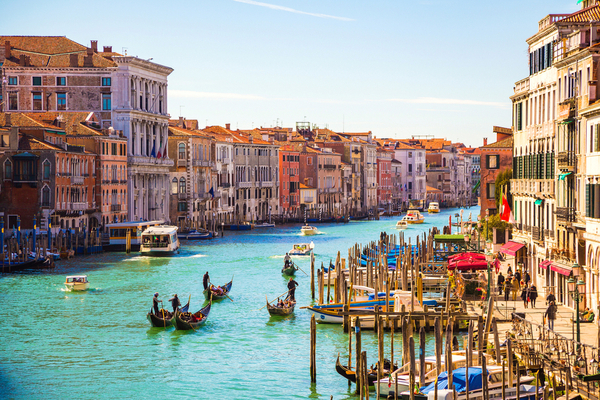 Pretty Venetian touches and a tranquil garden terrace make this an ideal base to unwind in after exploring. Flights included. 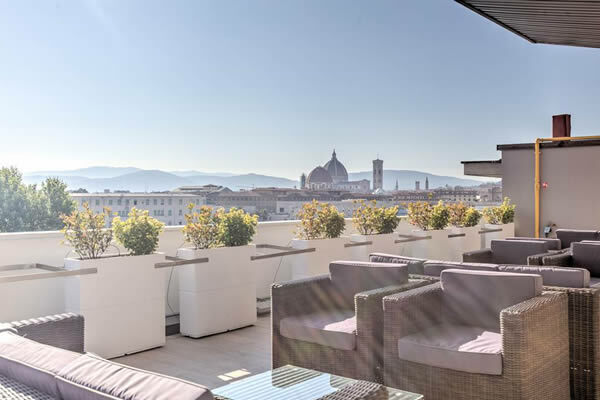 The MH Florence Hotel & Spa offers a stylish and modern choice, within easy reach of all the main sights. Flights included. 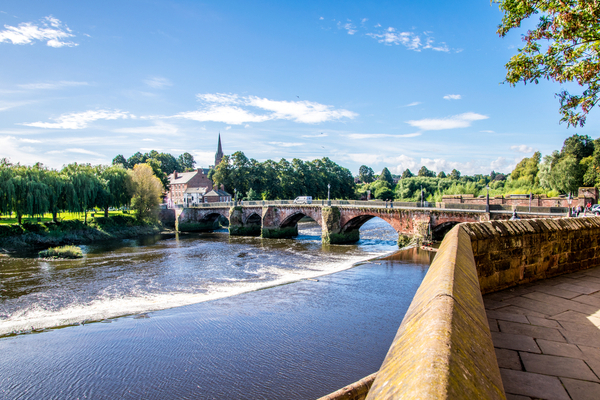 This pleasant hotel enjoys a great city centre location, close to all the major attractions and local life. Flights included. 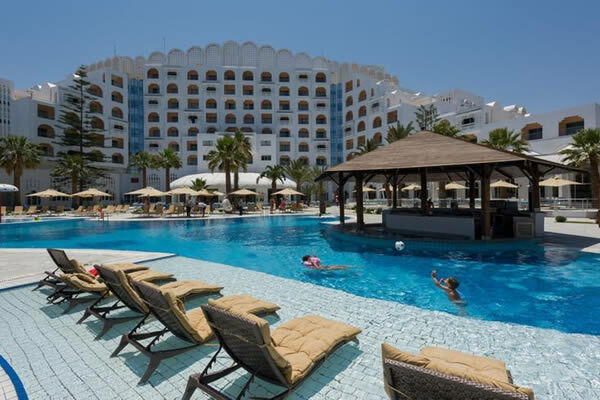 The Riu Palace Tikida Agadir is snuggled up to a long belt of sand, and has an eye-catching pool scene in its locker, too. Flights included. 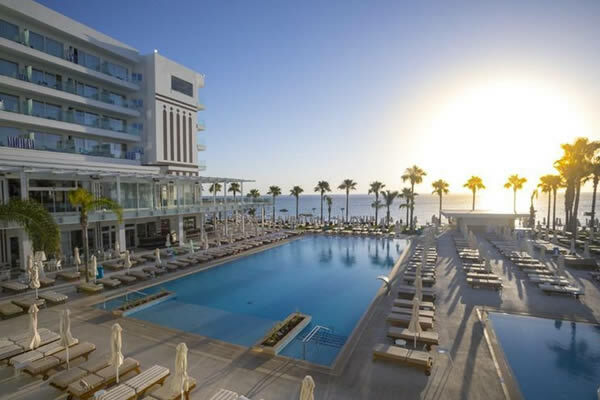 This beachfront hotel sports a luxe, contemporary look and has a couple of stylish speciality restaurants. Flights included. With its great dining scene and beachfront setting, it's no wonder this hotel is a favourite with TripAdvisor reviewers. Flights included. 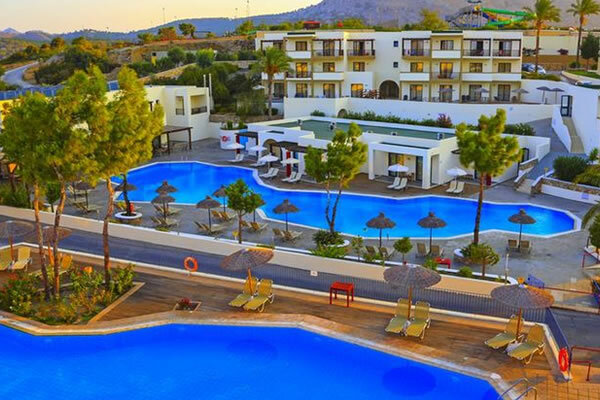 Set on the outskirts of Playa del Ingles, this hotel is an ideal pick for couples looking for a quiet romantic getaway within walking distance of the action. Flights included. 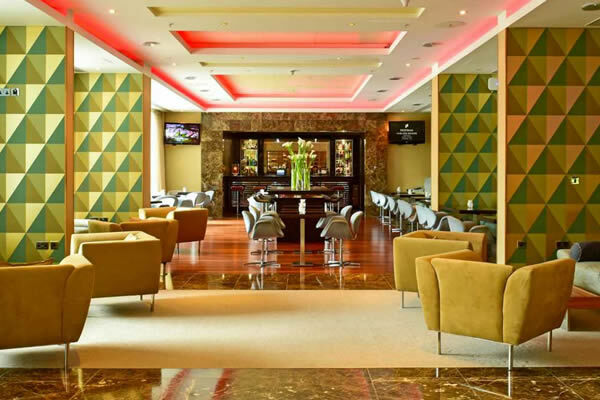 Club Dar Atlas offers the best of both worlds - a relaxing environment that is within reach of the city centre by bus or taxi. Flights included. 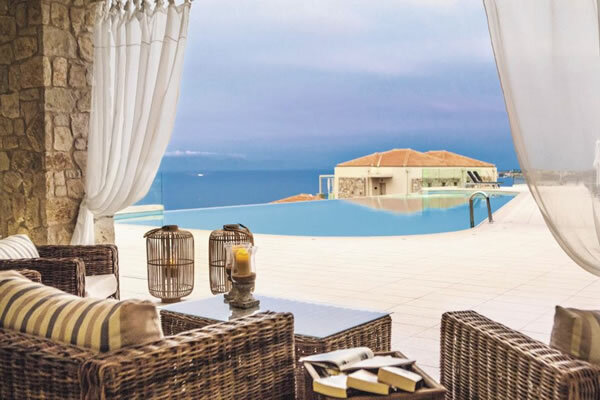 Offering stylish modern accommodation on the Sicilian coast, this property is a great choice for those looking to enjoy a laid-back Italian escape. Flights included. A powder-soft beach for a doorstep, loads of activities and a top pool scene is part of the deal at the Holiday Village Montenegro. Flights included. 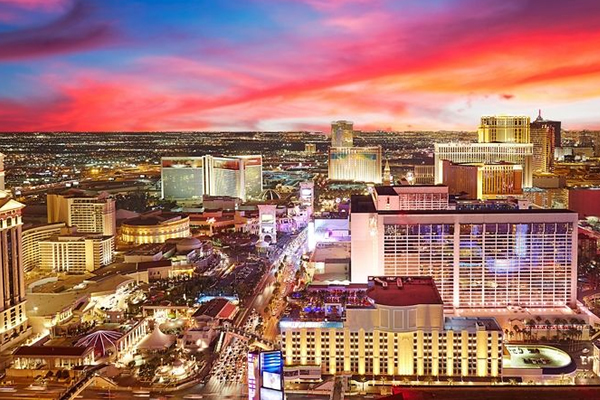 This hotel is well-versed in the art of indulgence. 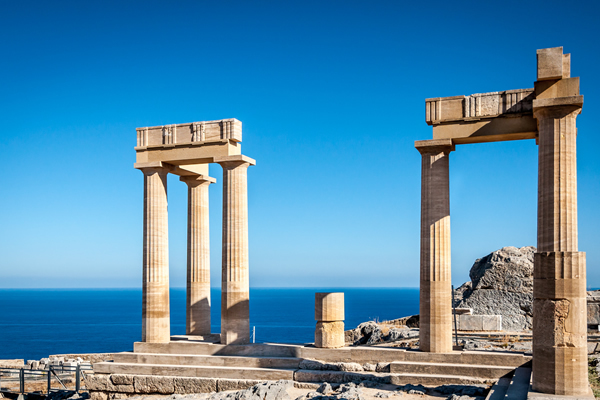 Everything from meals to spa treatments are served with a touch of classic, Greek style. Flights included. 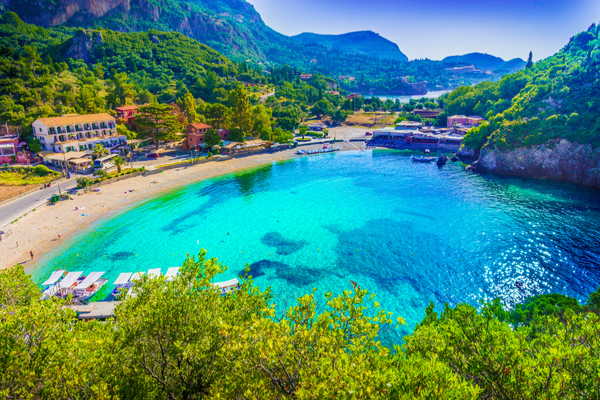 Situated in central Agios Ioannis and only a short walk from the beach, it's in an ideal location for those looking for sun, sea and sand. Flights included. 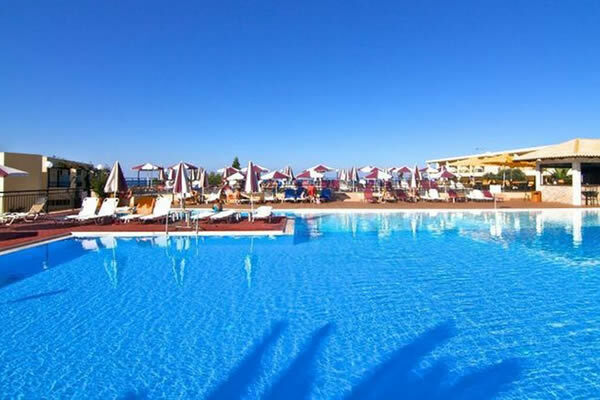 Brand new for Summer 2019, Amour Holiday Resort is an All Inclusive hotel nestled close to Sidari village and Canal D'Amour beach. Flights included. Set amongst pretty gardens, the Sonia Resort offers well-equipped accommodation placed on a picture-perfect secluded beachfront. Flights included. This hotel is as Greek as it gets. Sugar cube buildings are dotted around the tree-lined gardens, and there's a taverna-style bar next to the pool. Flights included. The Alexandra Beach counts a luxury spa, a pair of sea-view pools, and a rooftop bar among its highlights. Flights included. The Camvillia Resort & Spa boasts a handful of standout features - from its panoramic setting to its eye-catching infinity pool. Flights included. This hotel is in a tucked-away countryside setting. 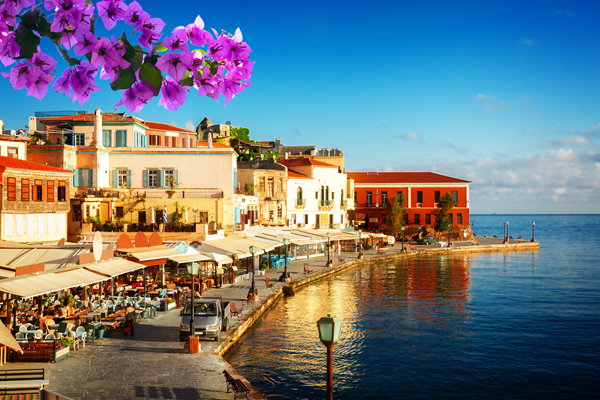 Top marks go to its wine bar, where you can taste a variety of different Greek labels. Flights included. 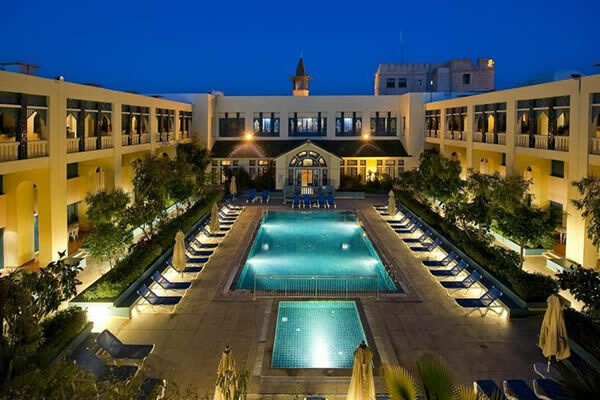 This hotel offers swimming pools, close proximity to sandy beaches, upscale dining and beautifully-furnished rooms. Flights included. Splendour Resort offers elegant 5-star accommodation. 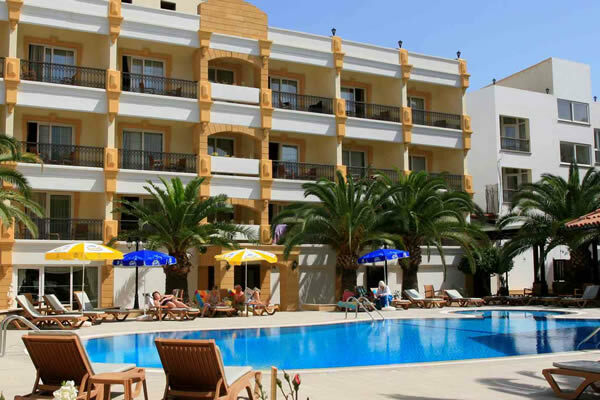 Facilities include outdoor swimming pool and free Wi-Fi access throughout. Flights included. 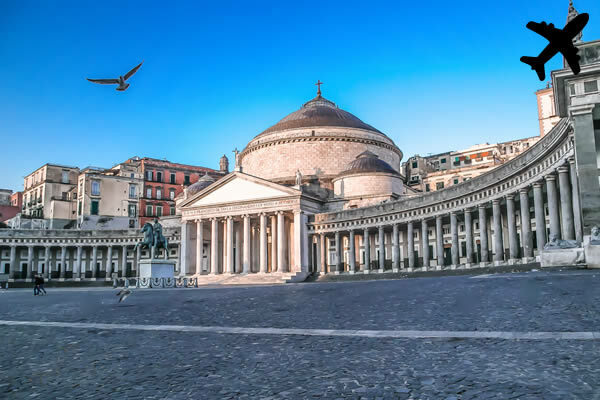 This luxury resort has been completely renovated to an elegant white and marble building, surrounded by paths and courtyards. Flights included. 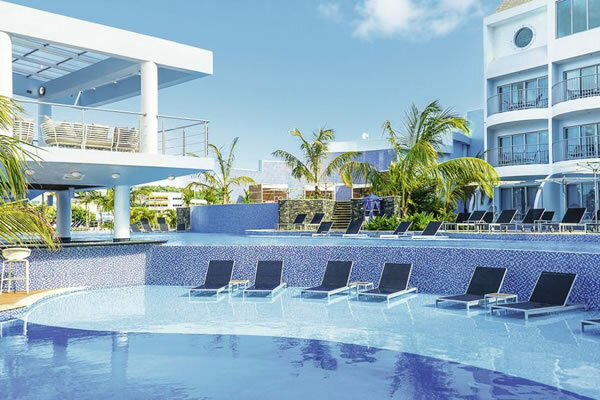 This hotel is situated overlooking the ocean in the popular resort of Playa Blanca and boasts a range of excellent amenities. Flights included. 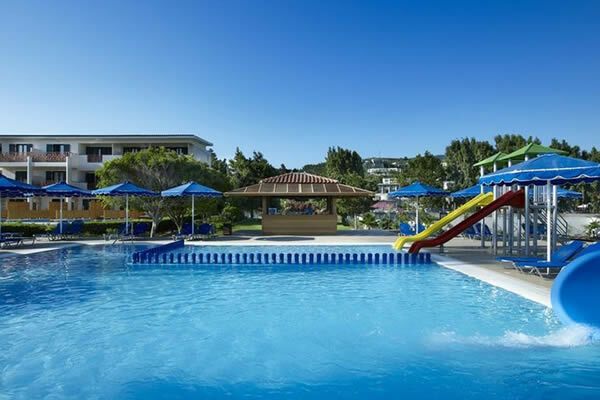 Located close to the beach and boasting excellent amenities including indoor & outdoor pools, a spa and a kids club. Flights included. This hotel is within easy reach of Walt Disney World and the Universal Orlando Resort - there's a free shuttle bus to both. Flights included. 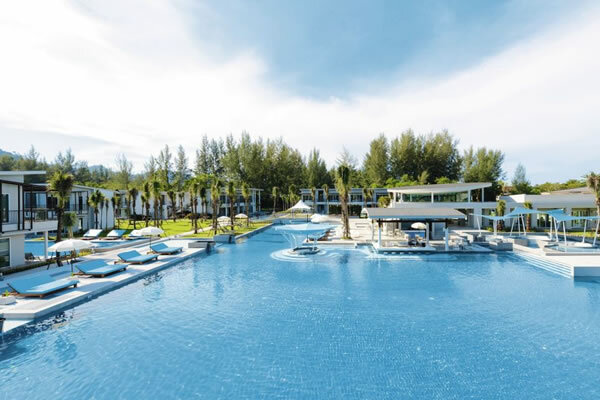 The Waters Khao Lak by Katathani promises peaceful stays. 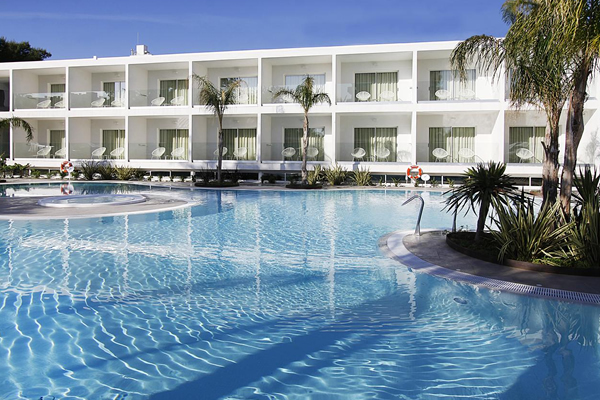 It boasts seven pools, and the beach is only five minutes' walk away. Flights included. 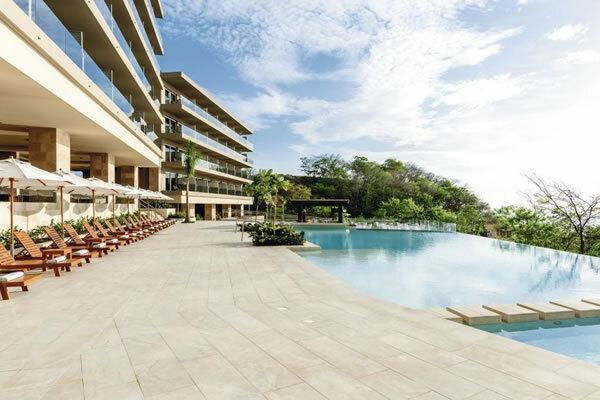 At Esplendor Tamarindo, you can take your pick from the pool, the spa, or the local Beach Club. Flights included. The Harbor Club brings a sense of style to Rodney Bay's waterfront, and the sea views are top-drawer. Flights included. 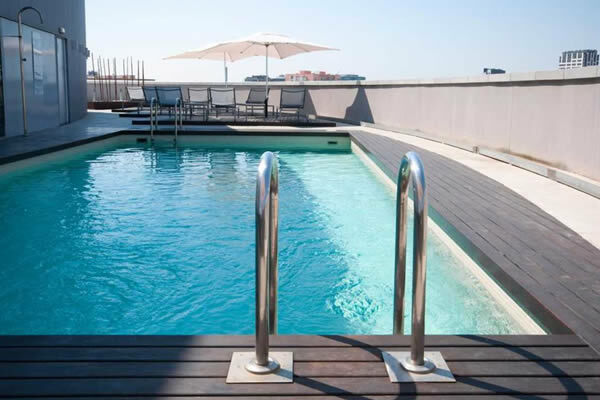 This hotel is located in Hospitalet, around 4 km from Barcelona city centre. Guests can dine in the onsite restaurant and enjoy drinks at the bar. Flights included. 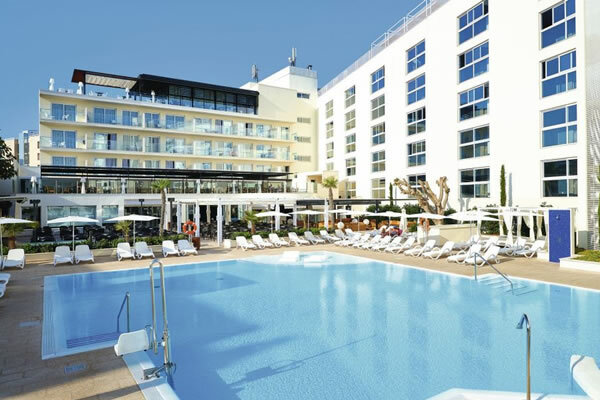 Pestana Blue Alvor is an all-new and exclusive All Inclusive resort in the charming fishing village of Alvor in the Algarve. Flights included. Offering modern stylish accommodation in a beautiful location, this property is a great choice for those looking to enjoy a sophisticated beach break. Flights included. 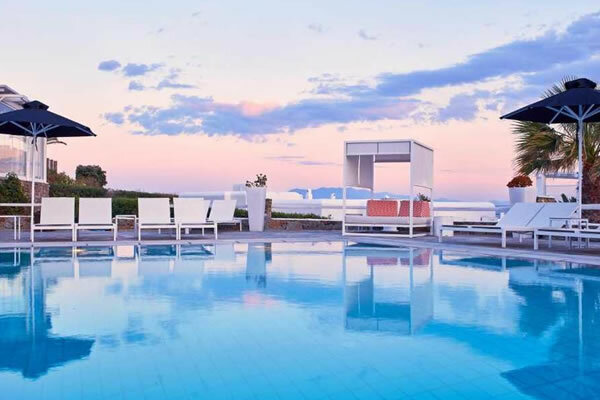 Boasting panoramic views over the Aegean Sea, this 4* hotel offers an outdoor swimming pool and onsite restaurant. Flights included. 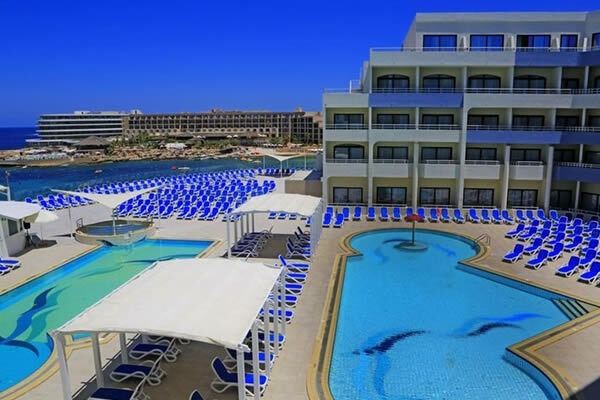 The Ramla Bay Resort is beautifully located on Malta's northern coast, overlooking the picturesque islands of Gozo and Comino. Flights included. 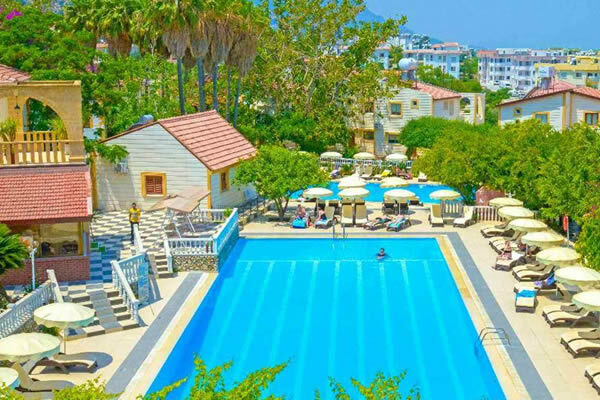 Situated close to the coastal boardwalk that hugs the shoreline and the lighthouse of Paphos, the Kissos Hotel is a firm favourite with all ages. Flights included. This classically grand hotel is set in stunning surroundings and is perfect for a relaxing escape. Flights included. 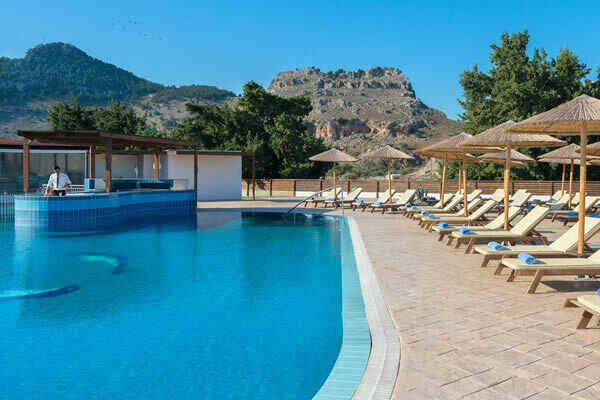 Directly on the beachfront, the Lindos Imperial Resort & Spa is the ideal choice for families looking for a luxury stay in this laid-back resort. Flights included. 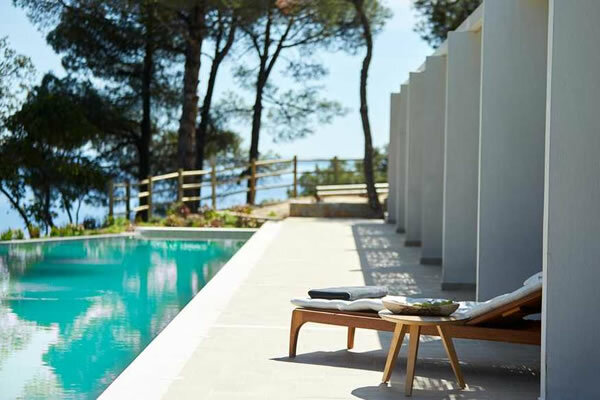 The Epidaurus Hotel treads the line between seclusion and sightseeing - it's in a tucked-away spot, and Croatia's big hitters are close by. Flights included. 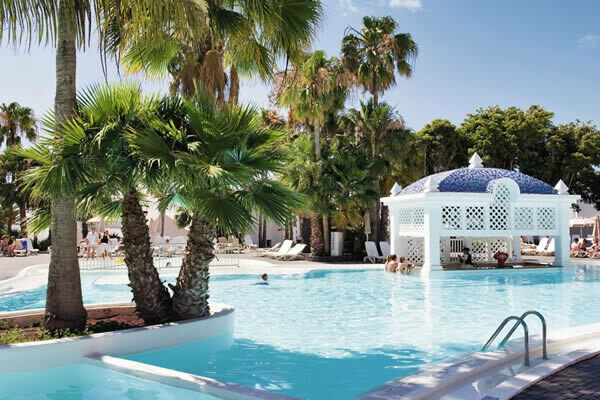 The Riu Oliva Beach Resort has an impressive line-up that includes two big pools and a couple of speciality restaurants. Flights included. 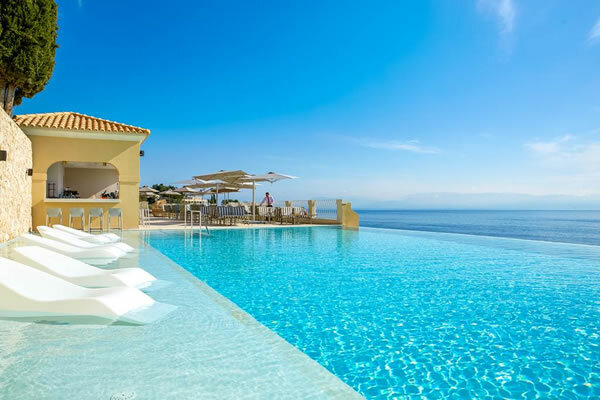 Hotel Protur Alicia has a rooftop infinity pool and a swish themed restaurant, both of which offer spectacular ocean views. Flights included. 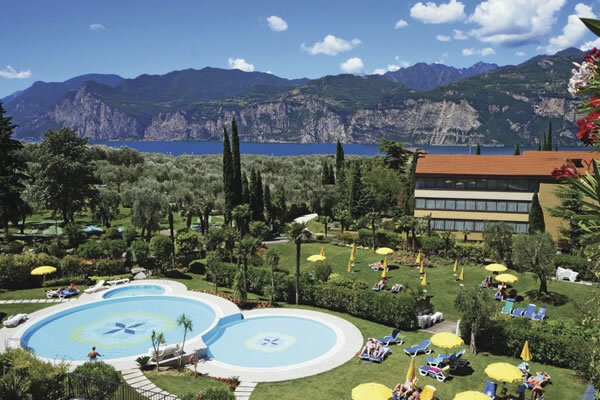 This family-friendly hotel is set up on the picturesque hillside of Malcesine, and offers a range of activities and facilities. Flights included. 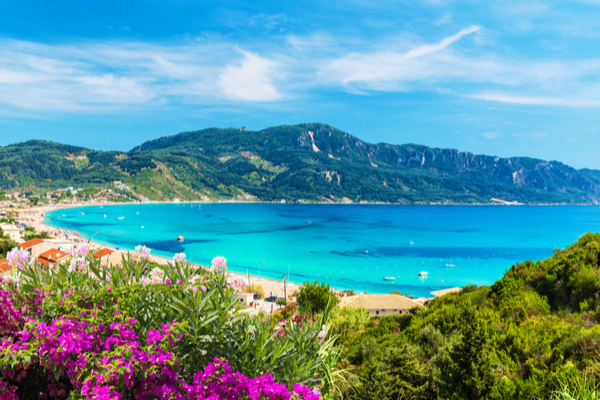 With an open-air pizzeria, plenty of greenery and a beautiful beach, the Villaggio Il Gabbiano has all the classic Italian hallmarks. Flights included. 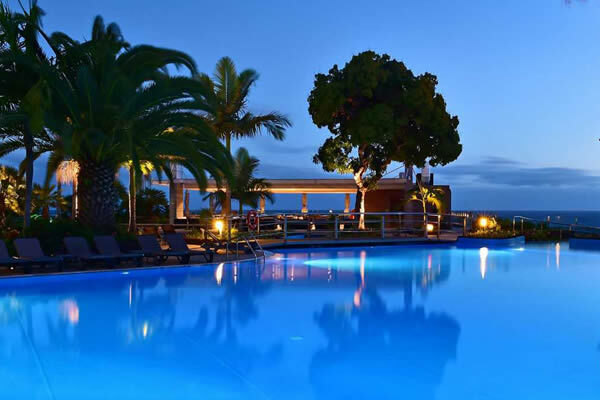 Vincci Tenerife Golf Hotel is a two-minute walk from the pebble beach and a five-minute walk from the closest bars and restaurants. Flights included. 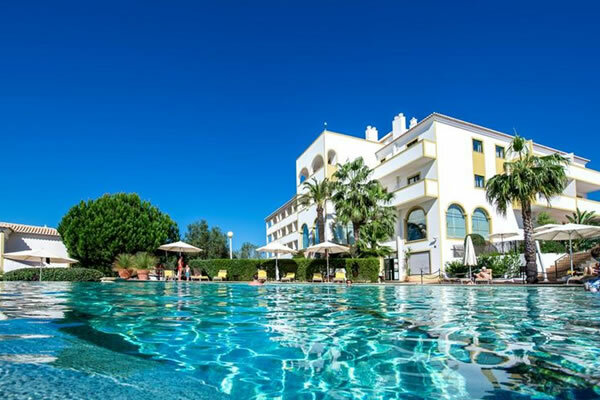 This elegant hotel has an oasis-like pool and a private sandy beach on the doorstep. Flights included. 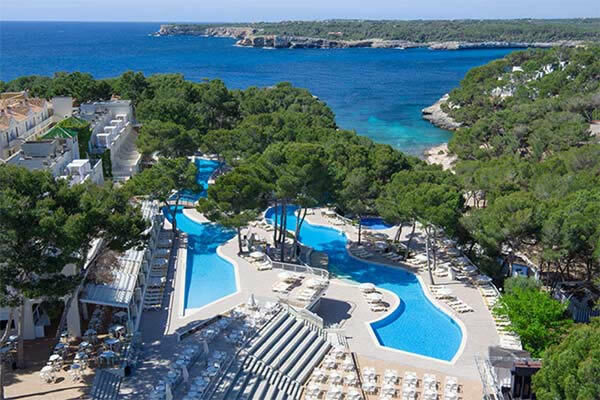 There are plenty of reasons the Family Life Mar de Menorca is a hit with customers - a great pool scene and packed activities line-up. Flights included. 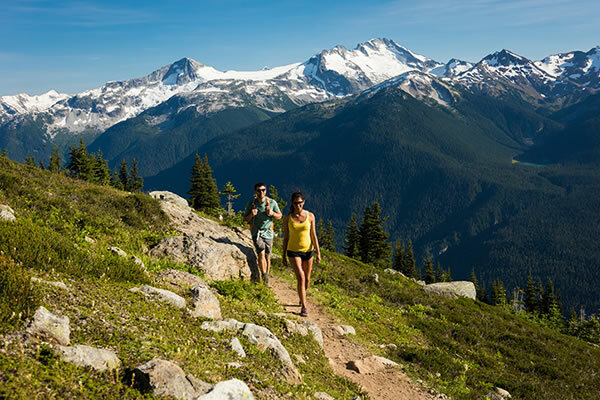 This classic Western adventure takes you through British Columbia and the dramatic Rocky Mountains of Alberta. Flights included. 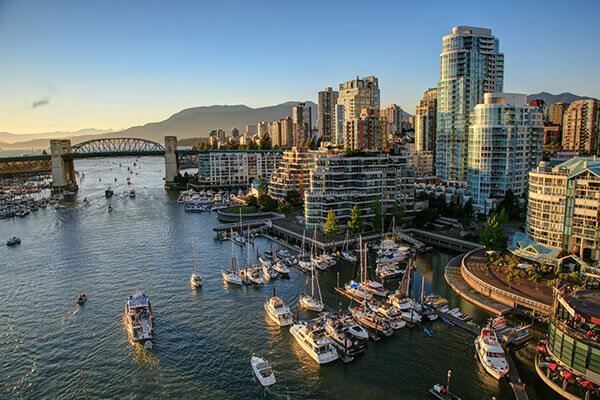 Combine the best of the west on this 20 day self drive around British Columbia and Alberta. Flights included. 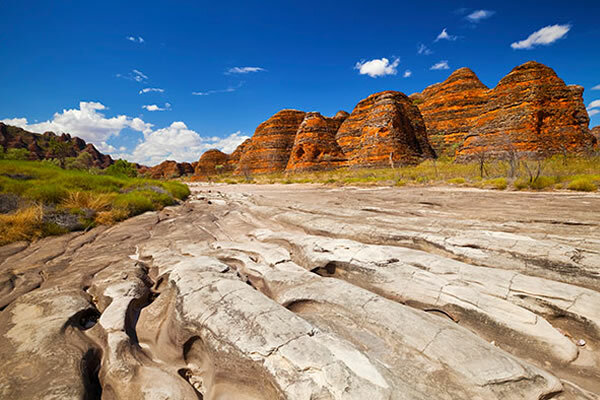 An awe inspiring journey through the heart of Australia incorporating some of the country's most recognisable and beautiful natural wonders. Flights included. Spend a few days in the city of Cape Town before heading off to the beauty and solitude of one of Mozambique's paradise islands. Flights included. 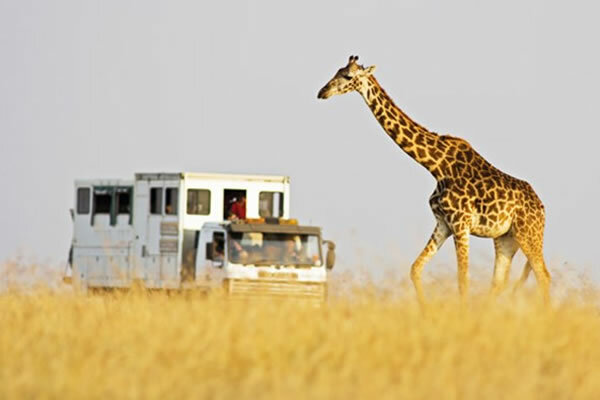 Combine the thrill and excitement of a Kenyan safari with the stunning beaches of exotic Zanzibar. Flights included. 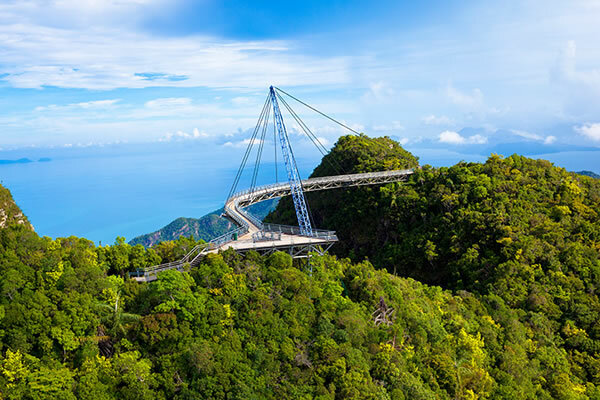 A two night stay in Malaysia's impressive capital city together with seven nights on the tropical island of Langkawi. Flights included. 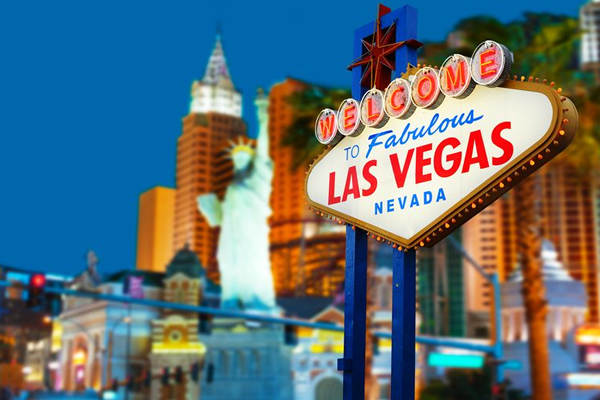 Combine a round trip from Las Vegas, followed by some extra time to explore Las Vegas on your own before flying to the 'City of Angels' Los Angeles. Flights included. 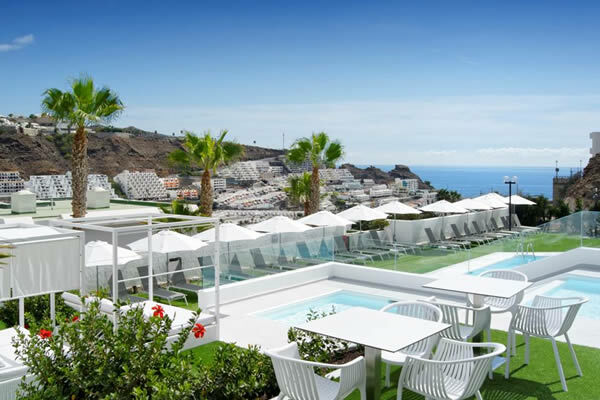 This hotel more than makes the most of its hilltop position, with the pool deck, the rooftop terrace and uninterrupted sea and mountain views. Flights included. This resort has a fantastic pool terrace with six outdoor pools, a chilled-out spa area with indoor pool and delicious dining options. Flights included. 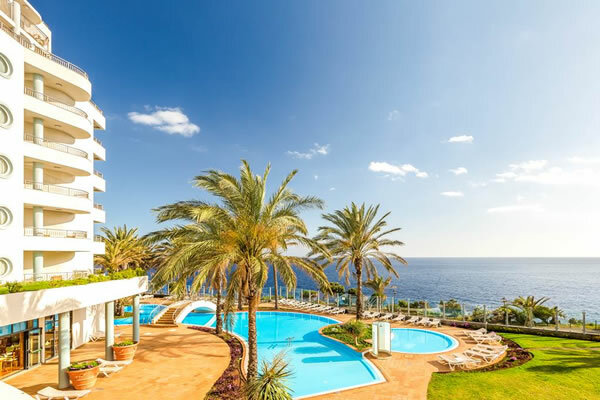 Located on the sunny west coast of Tenerife, Allegro Isora is well-suited to families seeking a peaceful beach holiday with plenty of on-site amenities. Flights included. 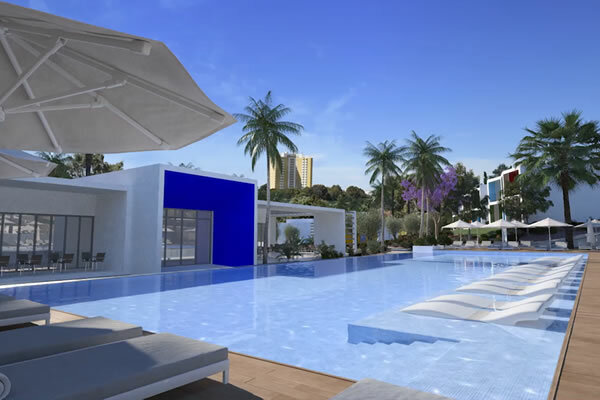 A beachfront location, six swimming pools and luxury dining experiences are just some of the hotels upscale amenities. Flights included. 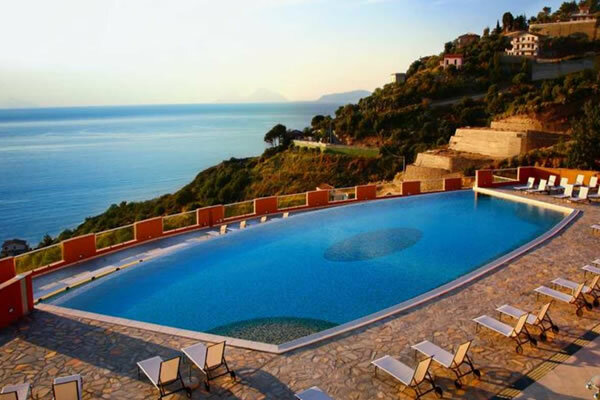 Sea views don't come much better than at this clifftop hotel - and the pool is a great place to enjoy them. Flights included. 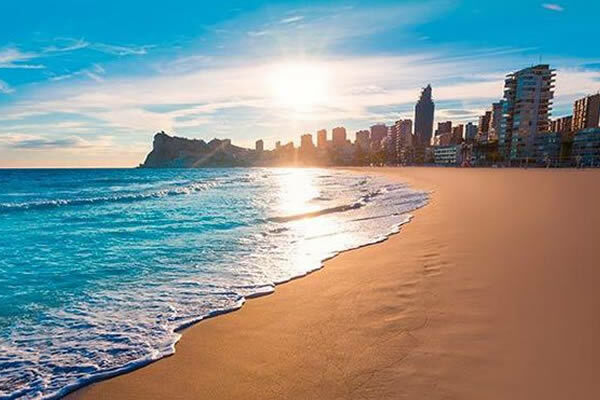 The SuneoClub Costa Brava has been refurbished for summer 2019, and it's set plumb in the middle of lively Lloret de Mar. Flights included. 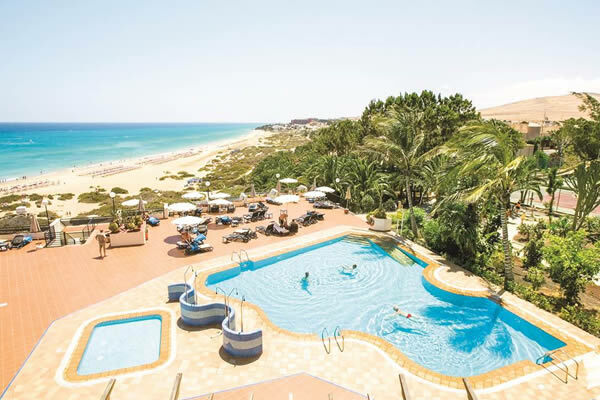 With a central postcode and a sandy beach within walking distance, the Solimar Dias has it sorted when it comes to location. Flights included. 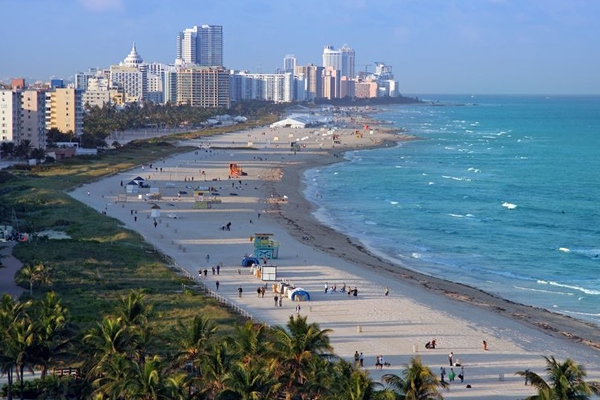 Close to the beach and within easy reach of Venice, the contemporary Hotel Miami is well-placed for an Italian getaway. Flights included. The pool line-up really sets this place apart - that and the fact there's so much to do. Flights included. 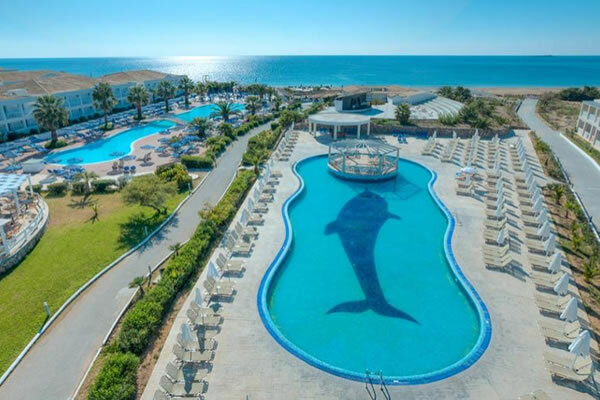 The db Seabank Resort & Spa offers modern accommodation and ample of activities for everyone to enjoy. Flights included. 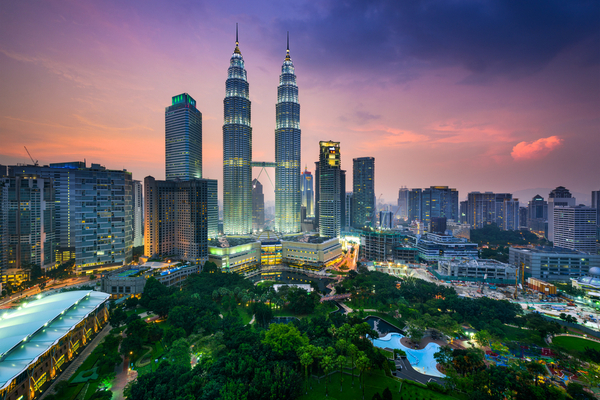 From the ultra-modern city of Kuala Lumpur to the oldest jungle in the world, experience the wonders of Malaysia. Flights included. 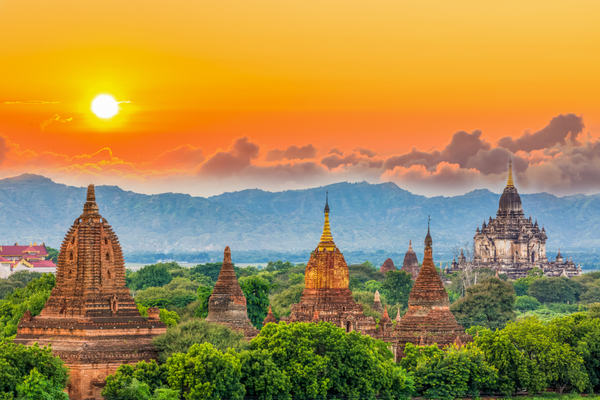 Discover the colourful culture of Myanmar in Yangon and be amazed by the golden Shwedagon Pagoda. Flights included. 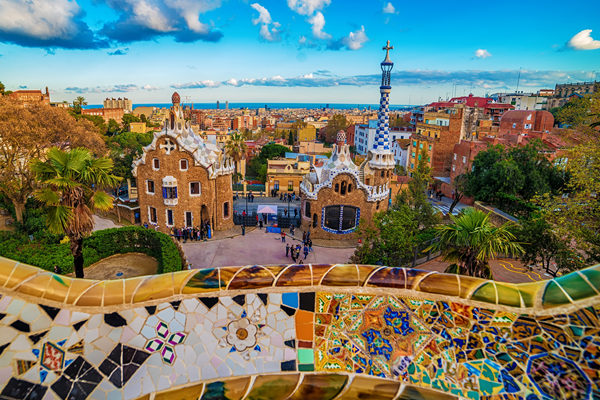 Come spend a few days in Barcelona, the most vibrant and cosmopolitan city in Spain and stay at Pestana Arena Barcelona, a boutique hotel. 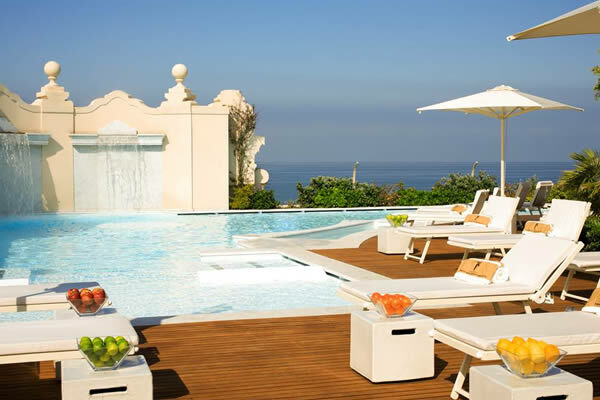 The Pestana Carlton Madeira is a luxurious hotel on the island Madeira with views of the sea, garden, swimming pool or Funchal bay. A 4* hotel located in Quinta da Beloura in Sintra, a luxurious area with an 18-hole golf course only 10 minutes away from the town of Sintra. Stay at the luxury 4* Pestana Chelsea Bridge Hotel & Spa and enjoy London's trendy Chelsea Wharf development. 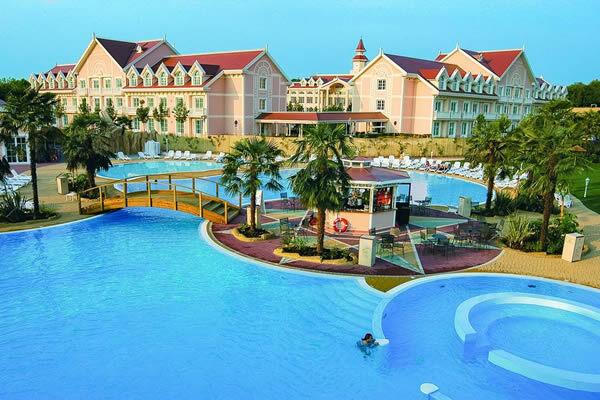 Stay at the deluxe Akteon Holiday Village. 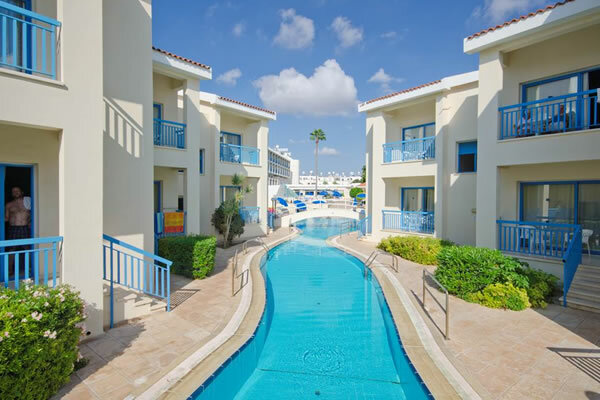 Located right on the seafront and boasting excellent amenities. Flights included. 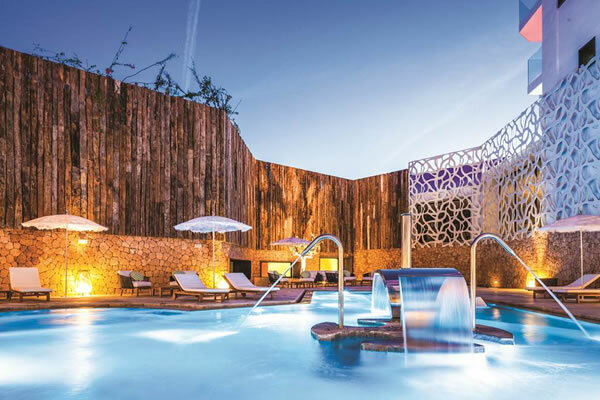 With its indoor and outdoor pools and spa facilities, you will feel a million miles away from the hustle and bustle of everyday life at this hotel. Flights included. 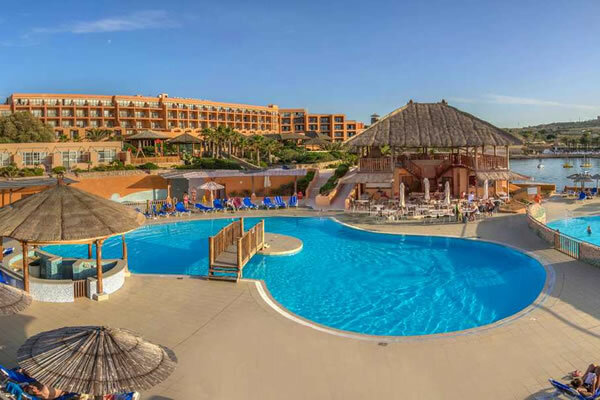 The Monta Verde Hotel provides the perfect setting for couples and families to have a relaxing break in quality accommodation. Flights included. Take a step back from the bustling tourist towns and embrace the local Portuguese culture in the beautifully traditional town of Tavira. Flights included. 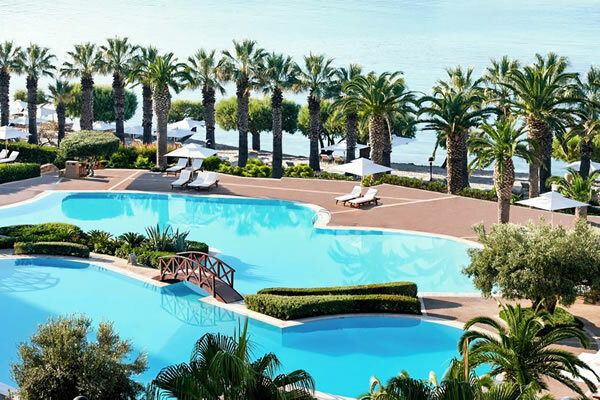 Designed to reflect a Cretan village, the Grecotel Club Marine Palace & Suites offers an excellent All Inclusive getaway with fun for all the family. Flights included. 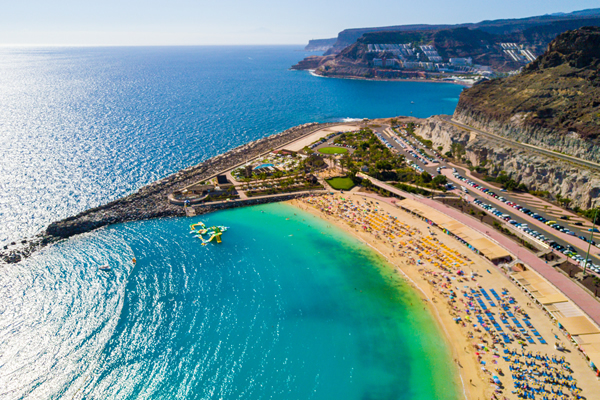 From its private beach are and bathing platform to its wellness facilities and standout outdoor pool, you will be spoilt for choice or where to relax. Flights included. Days here can be spent chilling by one of the outdoor pools, enjoying a drink from the pool bar or relaxing in the wellness centre. Flights included. This hotel offers great onsite facilities and boasts a superb location in the heart of the resort and 2 minutes walk from the beach. Flights included. The SBH Crystal Beach is situated right on the beachfront with direct access from the pool, perfect for those wanting a relaxing beach break. Flights included. The Canaima Apartments offer a simple but stylish adults only accommodation, perfect for a laid-back holiday. Flights included. 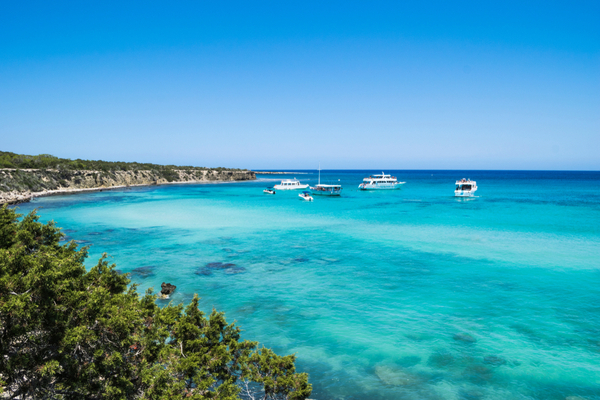 The beach is just a few steps away, meaning this property benefits from stunning views out over the turquoise waters of the sea. Flights included. 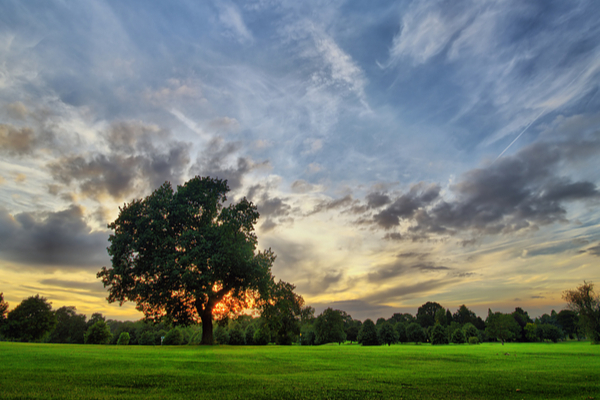 Offers are based on availability and prices are subject to change. Rules, restrictions and blackout dates may apply. See third-party websites for full offer details. 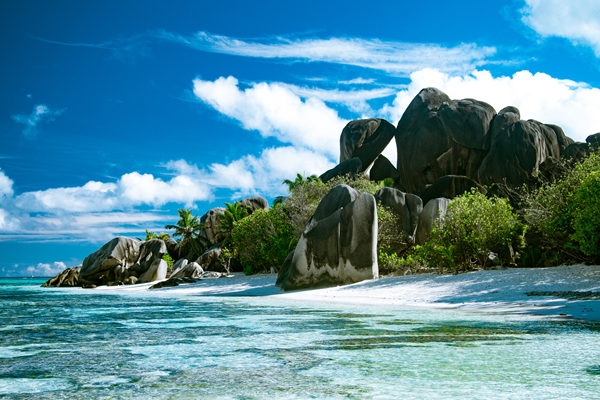 Hotel Exclusives was setup to offer the best hand picked hotel and travel deals, chosen by our team of travel experts. 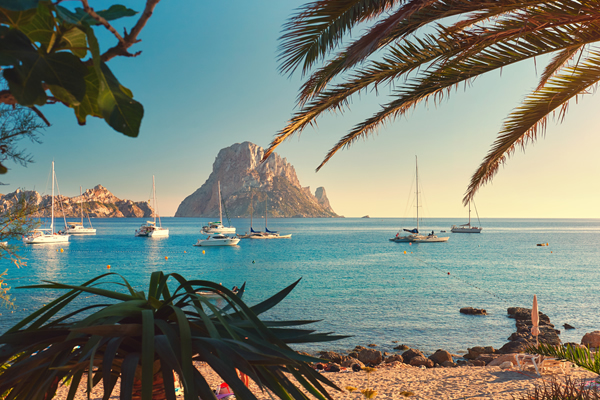 Our hotel deals and holiday offers are exclusive to us and we make them available to our members. If you have forgotten your password then click here.